Another update of the ‘other’ family here. I’m trying to avoid them being on the same generation, with Arsenic alive while the ISBI is on its third or fourth generation. Arsenic got the job. Nice outfit. 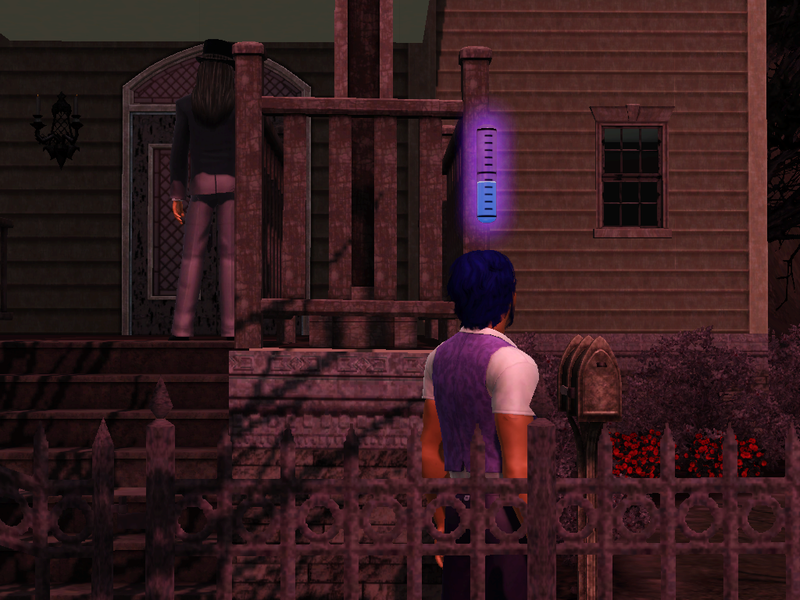 And then Selenium got what she was looking for in the same place, a few moments later. And I’m not talking about a fortune. 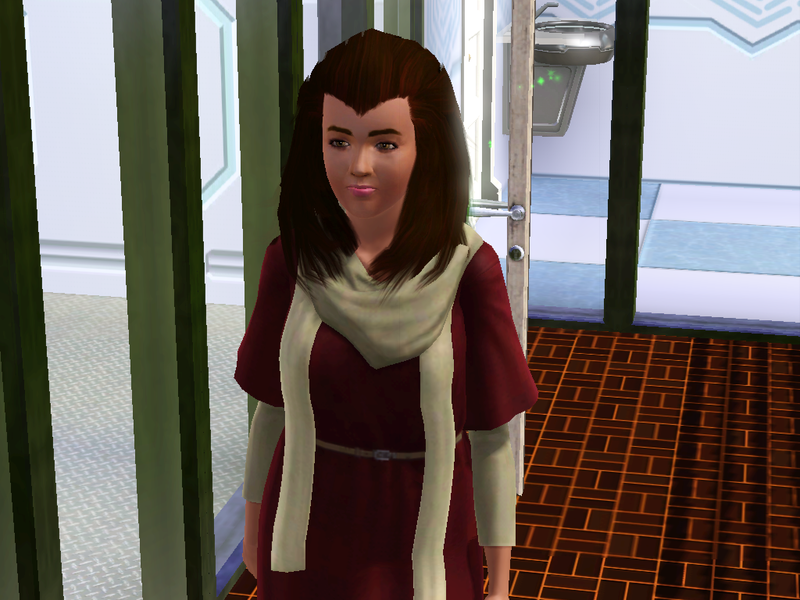 Oh Bromine… when she’s dressed in her work outfit, she looks like she’s got some sort of secret mission. 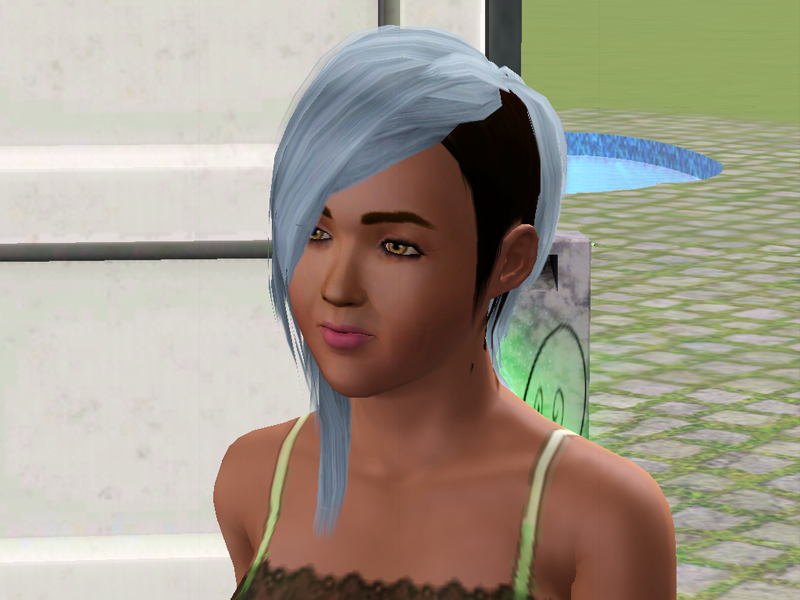 So I just gave her a new ‘do and died it to see if she would pass the hair color off to the next kid. NO YOU ARE NOT DRINKING THAT. 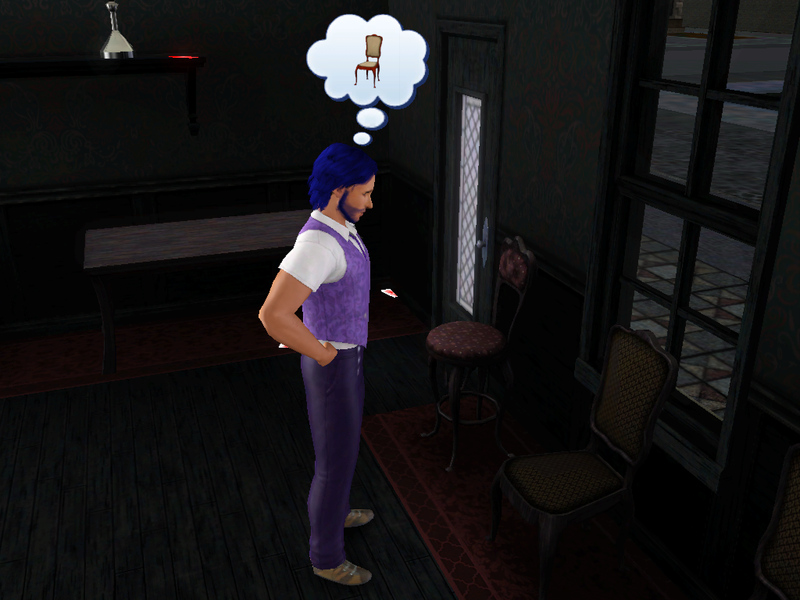 It was a mood enhancing potion. No harm done. 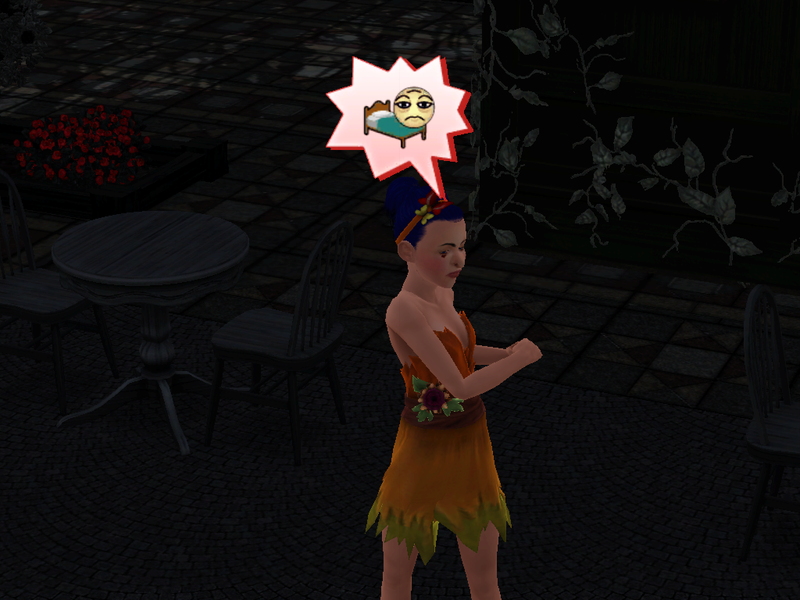 Apparently fairy magic doesn’t translate over to witch magic. 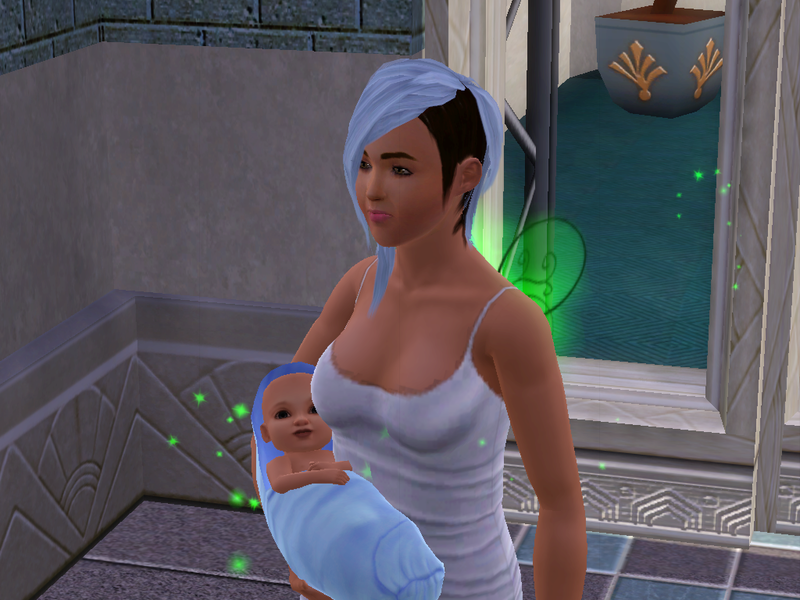 I named him Nathan or something because I couldn’t think of anything else. 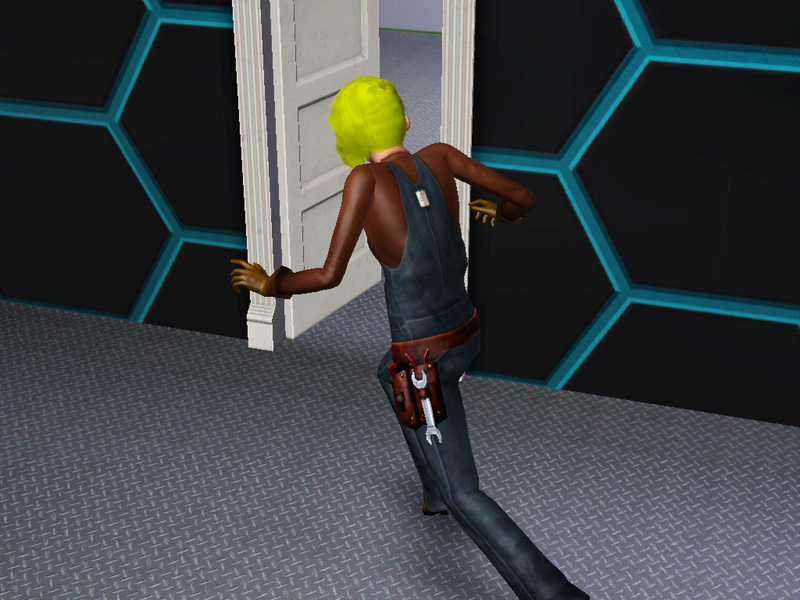 I wanted to see if the zombie potion might shock Bromine out of her sneaking, since zombies walk in a different way from regular sims. 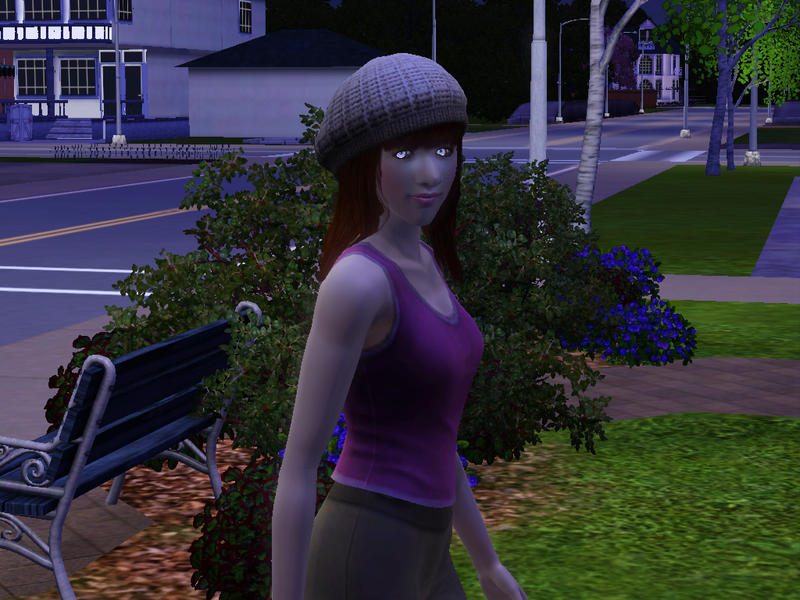 Bromine the zombie heads off for work. See you in a bit, Bromine! 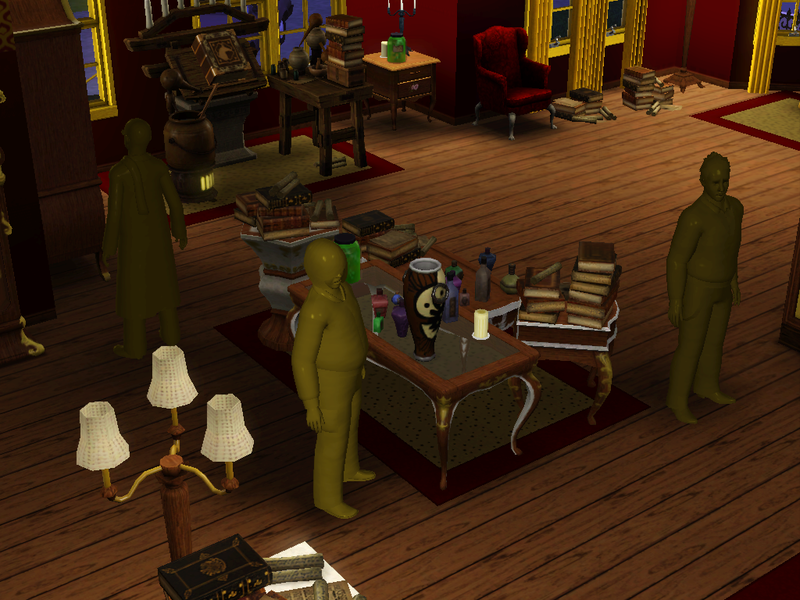 I send Old Lace to the elixir store a lot to see what they have to sell and test stuff out. 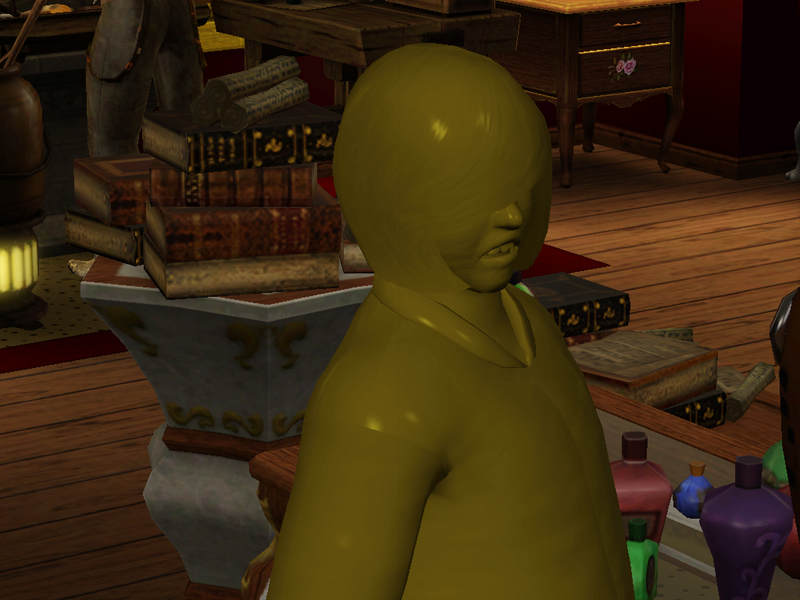 Let’s just turn everyone in the room into gold… they turn back, right? 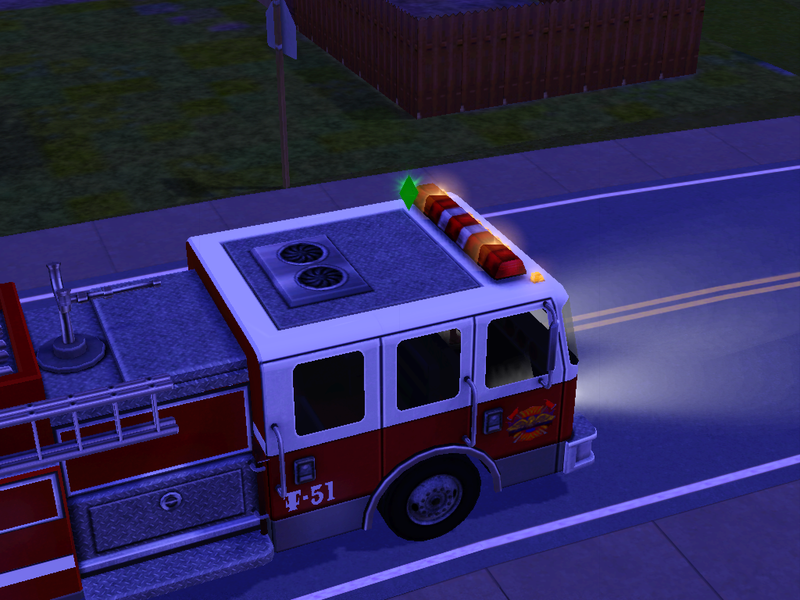 Today I learned that you can turn the siren on in the fire engine!!!! She gets better, I swear. Welcome to another wonderful episode of the Mendeleev ISBI. 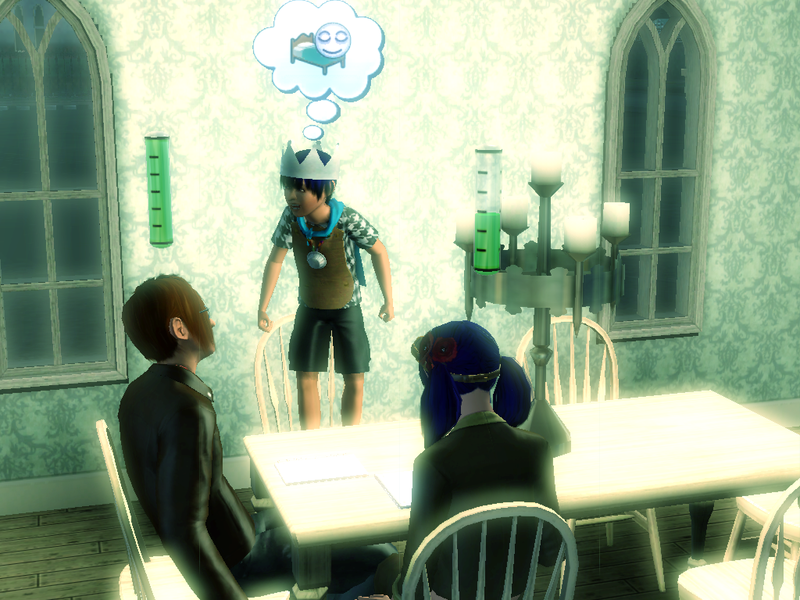 Last time, we had an heir poll, and Yttrium won by the only three two votes. With one vote for Zirconium. Yay! 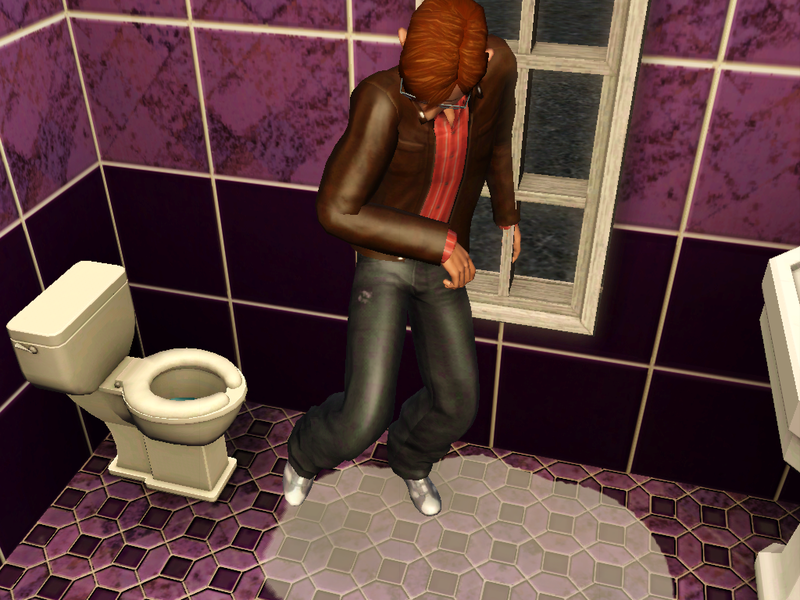 Rubidium: I can’t get into the bathroom because there’s a door in the way! 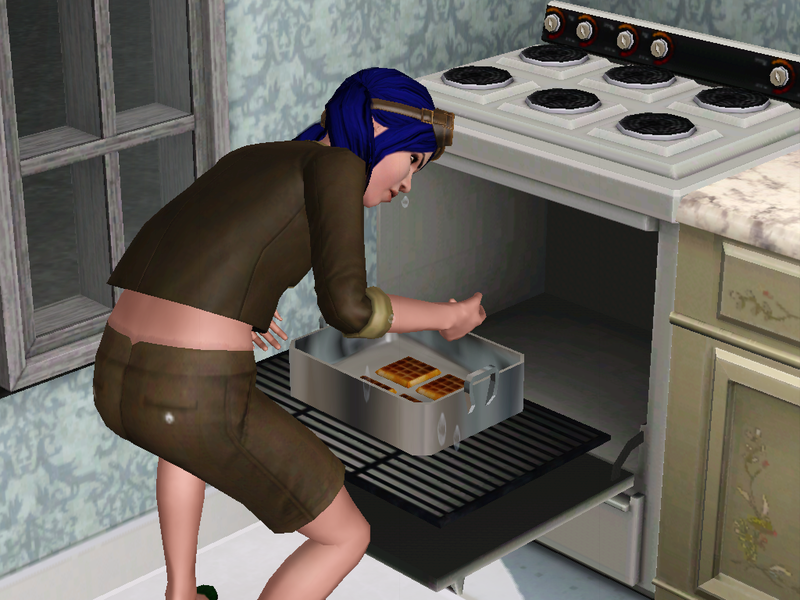 Yttrium: I’m gonna bash it open with a frying pan. So just usual stuff, it seems. 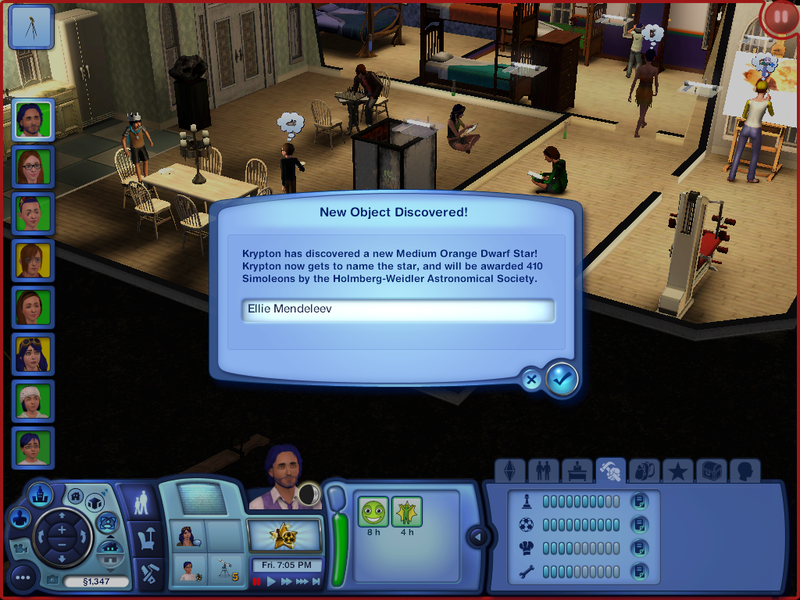 Krypton begins discovering stars, so we shall name it after a distinguished person in Sims history. Or Leroy Secksie. Whatever. Slow clap for Laurel and her inability to keep her job, everyone. 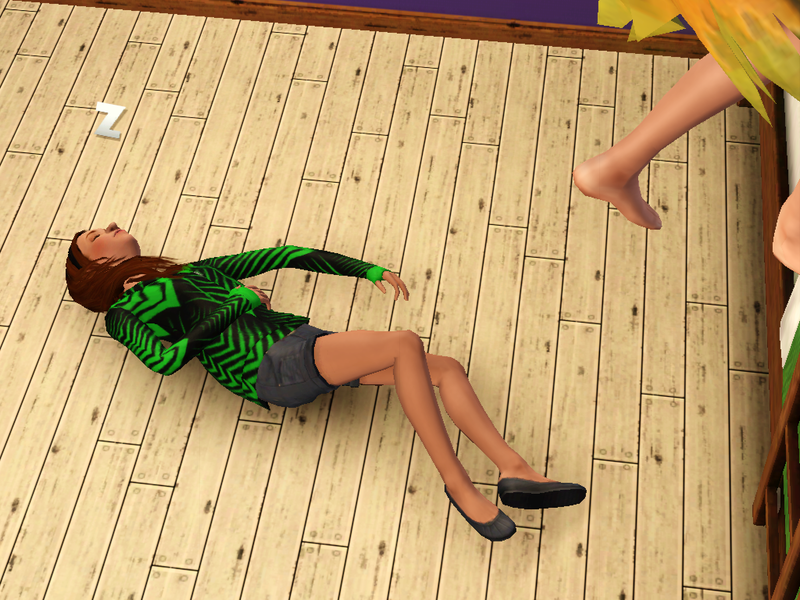 Slow clap for Zirconium and her FAIL. There are many more where this came from, folks. Oh so many. 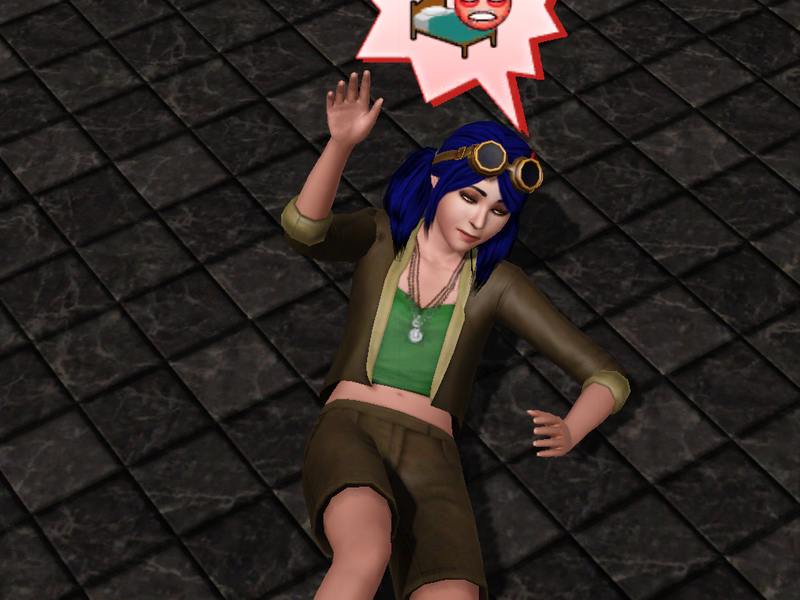 And then Rubidium decided to hop out of bed to check it out, while she’s exhausted too. 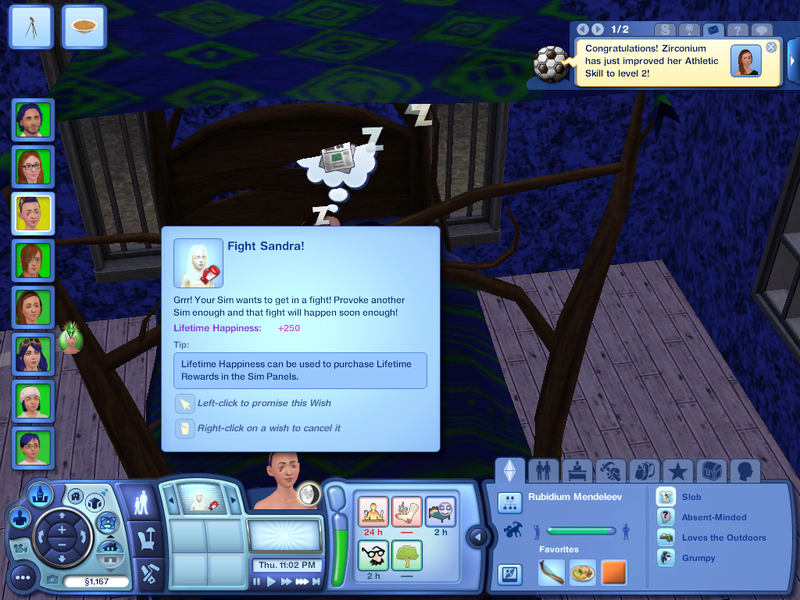 I was worried that she’d pass out on the ground, but she just went to another bed. 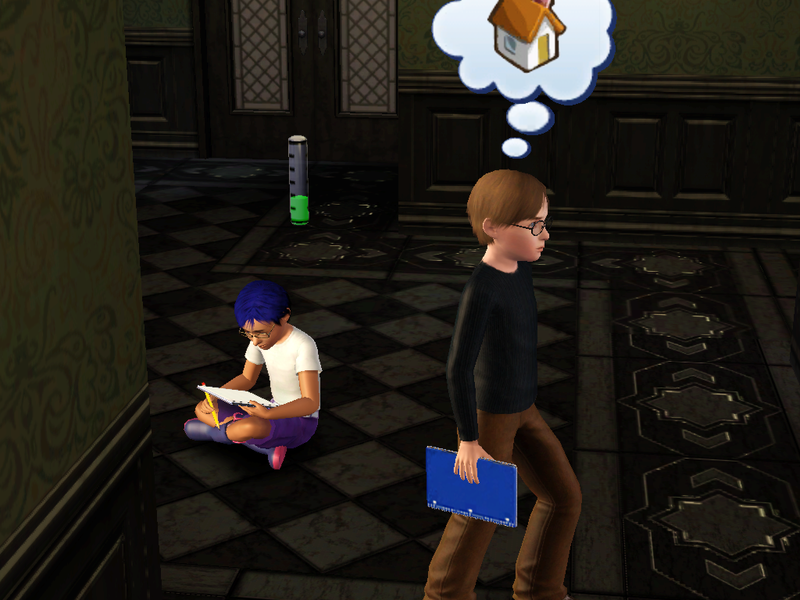 Oh, hey, the Baudelaire wannabe came home with the kids! Molybdenum: Why are you doing homework on the floor? Not-Klaus: As an orphan with a horrible guardian who is not Count Olaf, I must bear many hardships. Even when they are self-imposed. 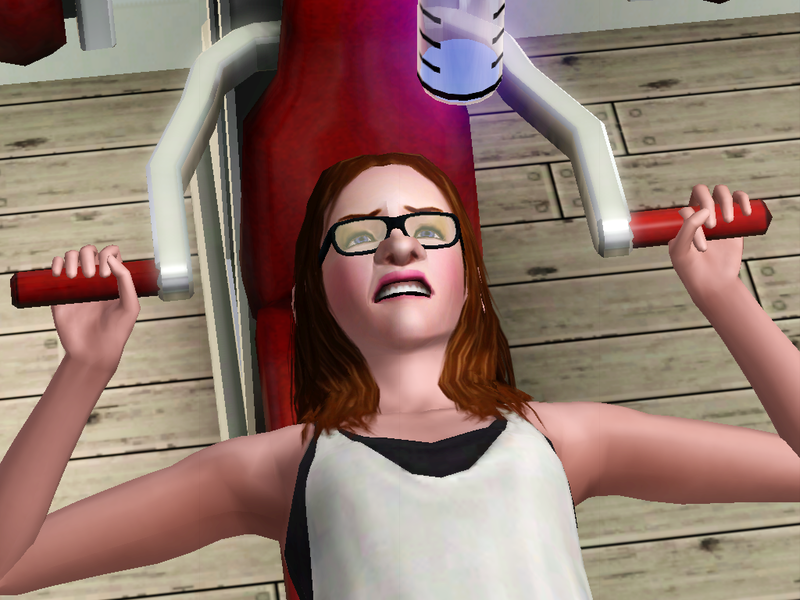 Yttrium fails at working out while Laurel does… what Laurel always does. I have to try to make another portrait of our dear founder. The old one got left behind. Another star named after a prestigious legacy founder! Ellie: You name *my* star second? Hush. 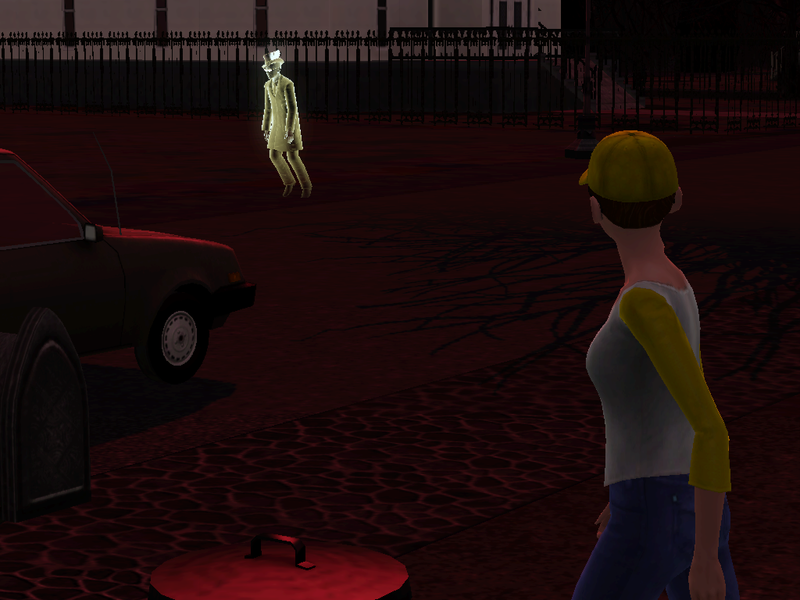 You’re dead and not even in this town. 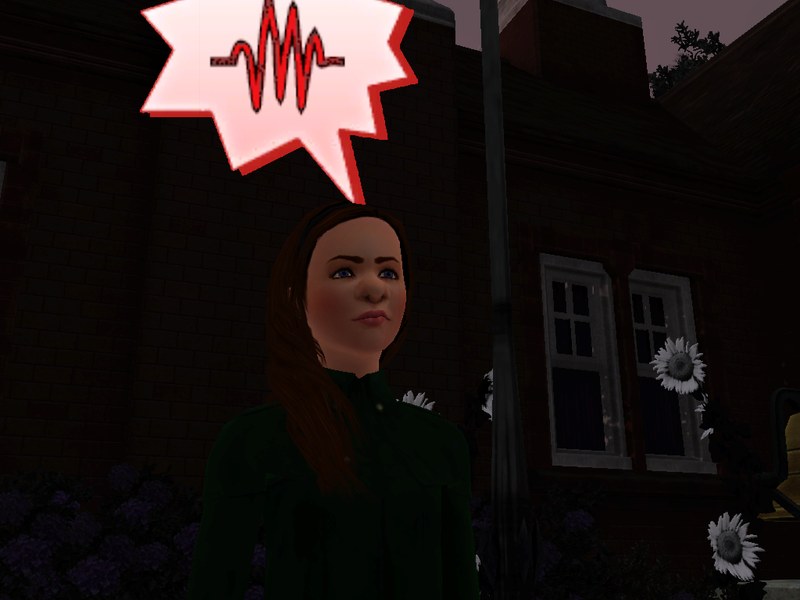 Strontium: How do you feel about being the next torch holder of the legacy? How do you feel that you should BOTH be going to bed right now?? Whole house asleep! 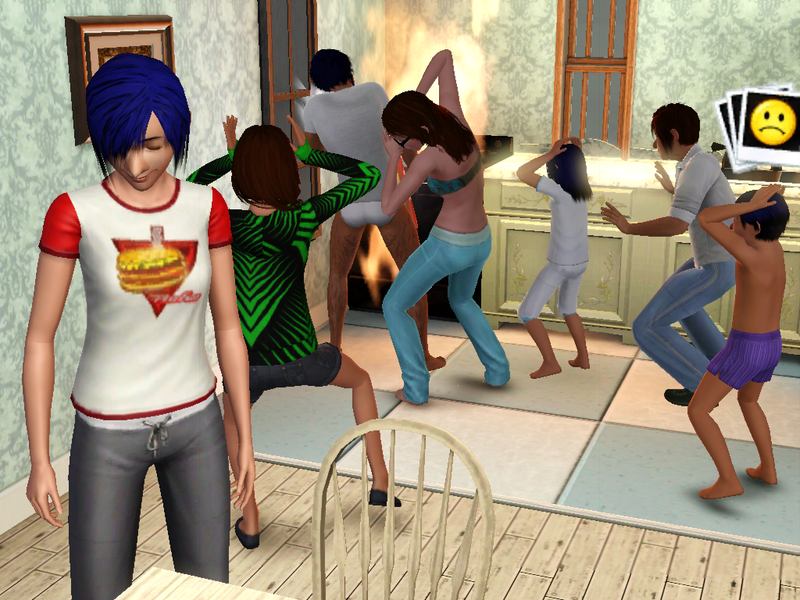 Simming ninja! There is no way that is ever happening ever. 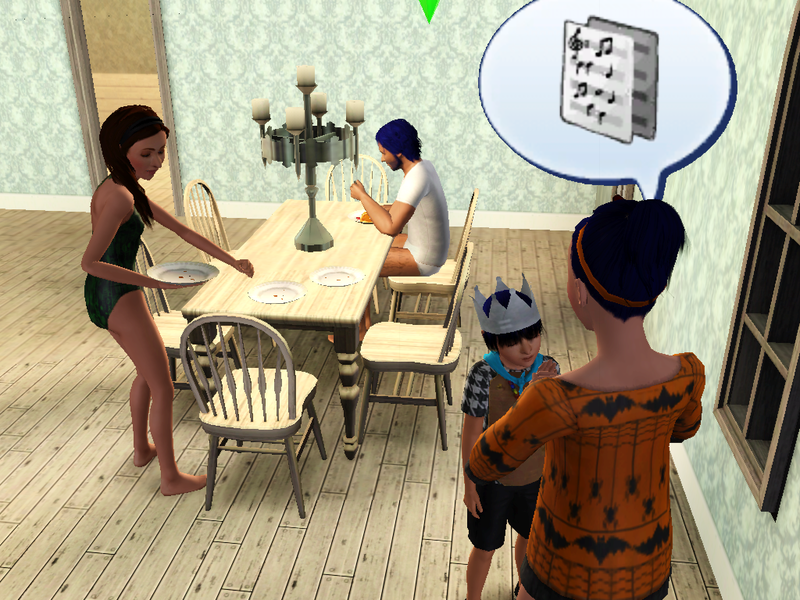 Rubidium and… one of the kids who wishes to confuse me by dressing like that… have a conversation about music right after Ruby chewed them out. 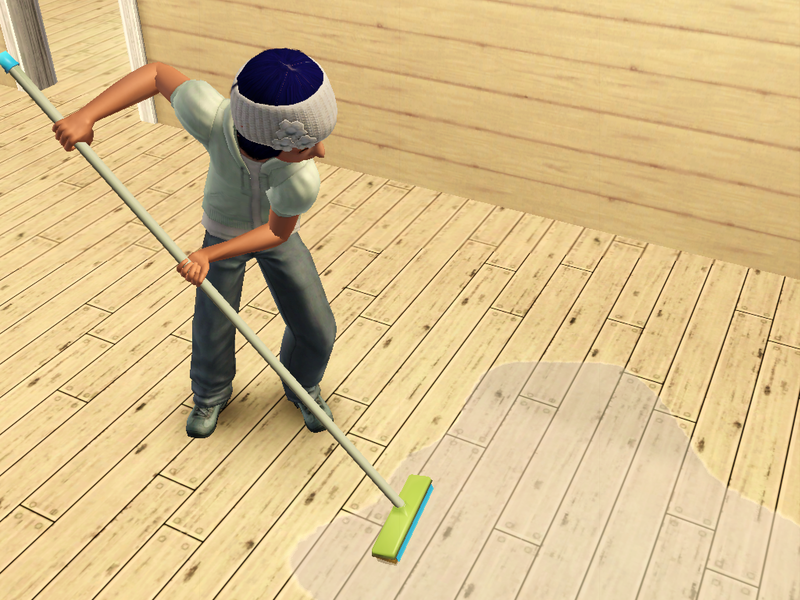 And Zirconium’s just in the background being awesome and cleaning the dishes. 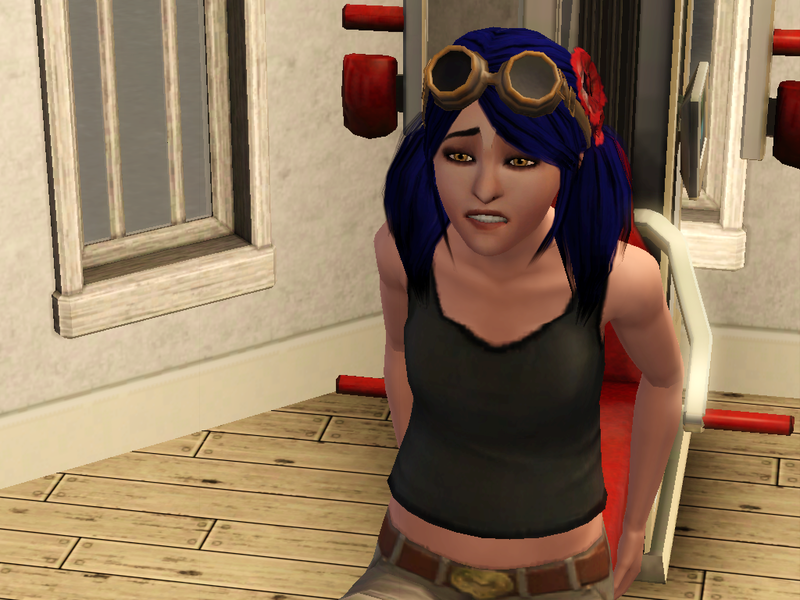 Zirconium: But I wanted to play on the teeter totter! Don’t do it! It’s a portal to Hell! Krypton had an opportunity to talk about logic with someone, or something, and he convinced the guy before he’d even rendered! Then he jumped super far on his logic skill bar. 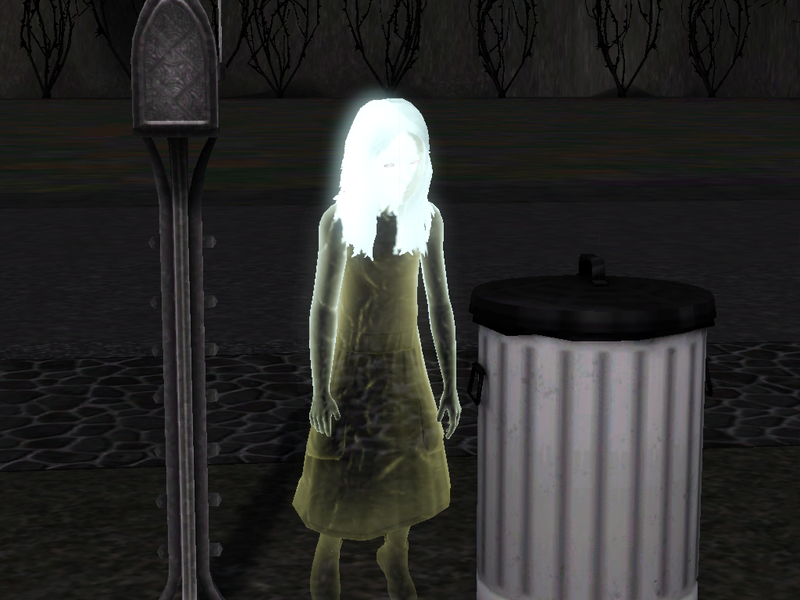 Then Zirc and Yttrium met this girl who is named Seema or something. Zirconium: FISH. I smell like them. Then I was bored and sent them back home. Where Laurel promptly peed herself. Niobium, I love you, and I appreciate what you’re doing… but can you wait until after everyone who needs to pee gets a turn to do so? I wasn’t sure what to name this star, so I thought why not. I love you. Why are you not torch holder. 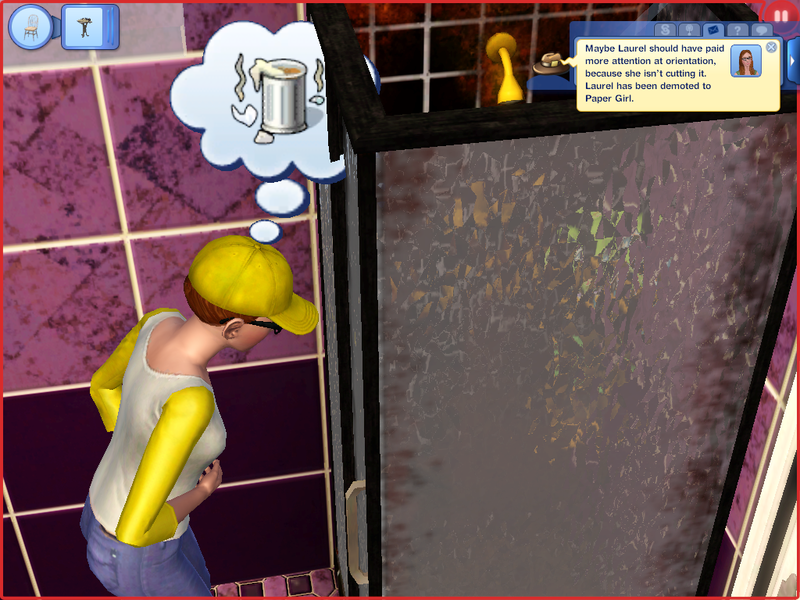 Niobium: Because I wanna get out of the house and NOT clean pee. 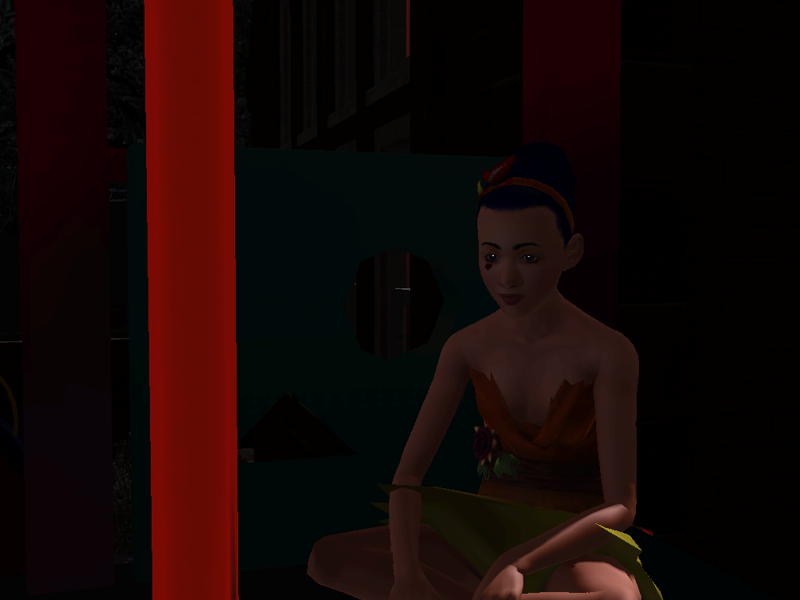 I think Laurel spent a couple hours just standing by the teeter totter, despite her hates the outdoors trait. Niagara Falls! 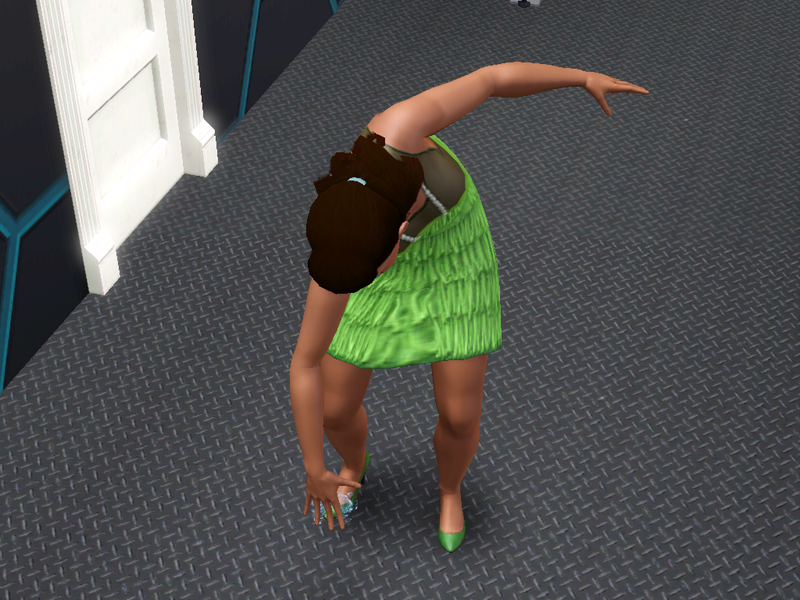 How did you do this just brushing your teeth, Krypton? 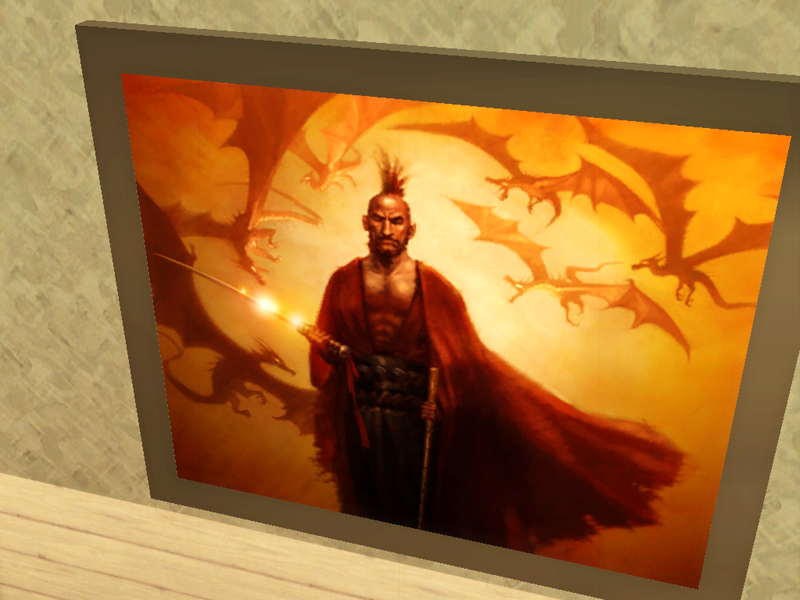 I call this one ‘Father of Dragons’. Alternate title: Teeter Totter Troubles. 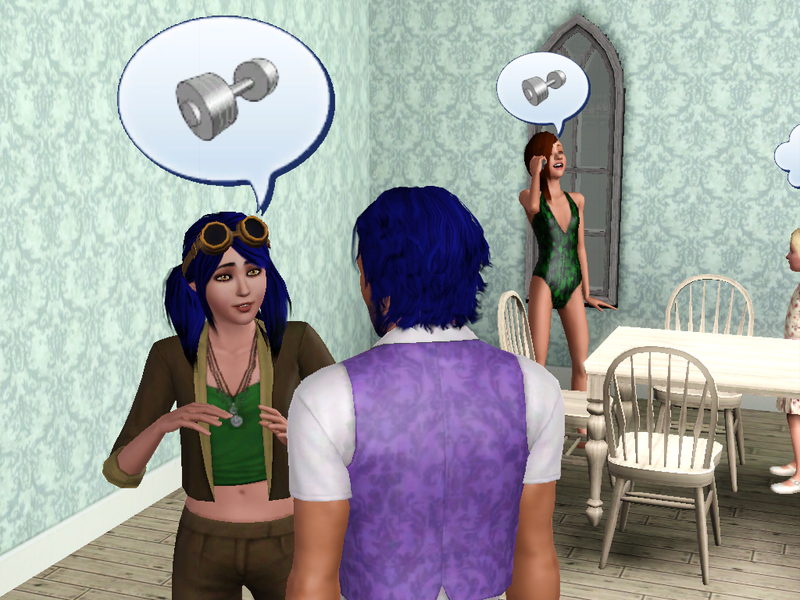 Zirconium: I know of your evil, teeter totter. I know you’re in league with Satan! Way to go, Strontium. Way. To. Go. And then Yttrium followed his lead. Yttrium: Did I really just do that? 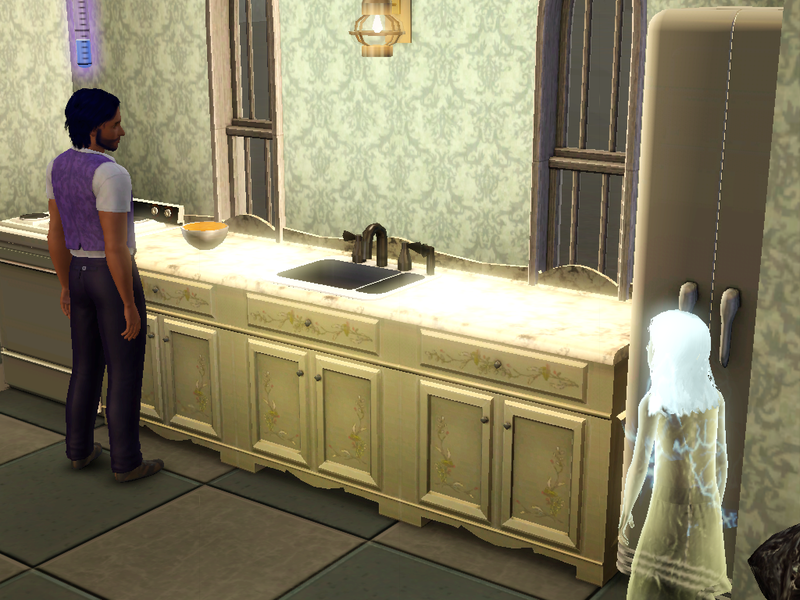 Zirconium: Shut up, Mr. Fridge! I can eat what I want! Officially ran out of star names. 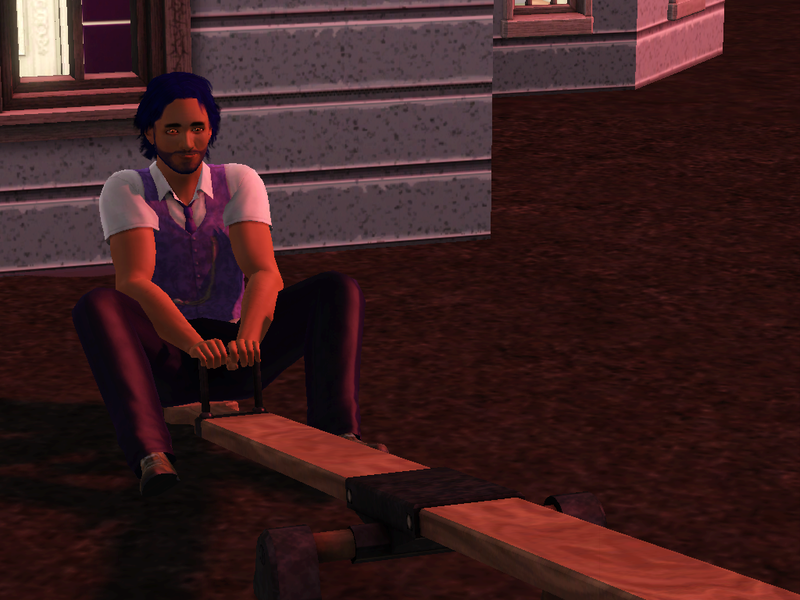 Why are you being a weirdo and sitting on the teeter totter by yourself? And then not by himself! With Yttrium. I thought it was, like, symbolic, like he was teeter tottering the TH-ness to her or something… it was early, I’m not sure what I was thinking. He then ditches his daughter for hugs from his wife. 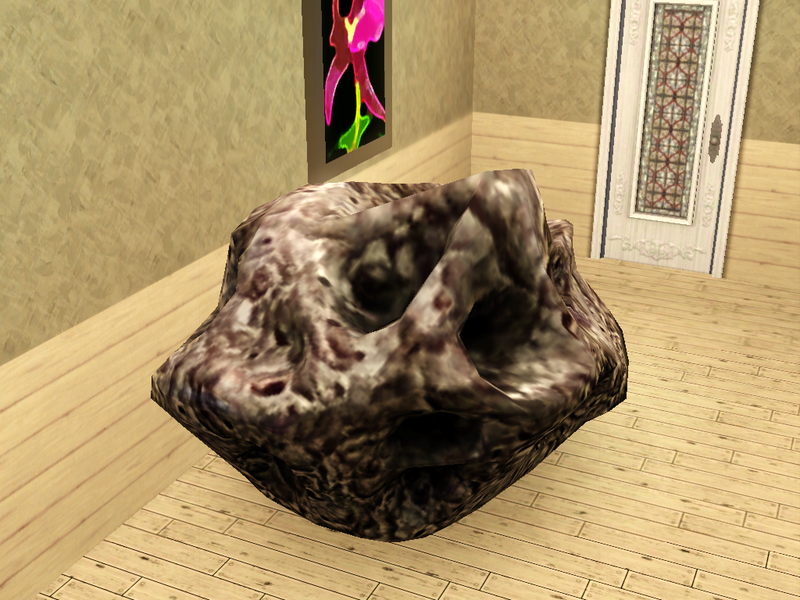 What’s Zirconium doing through the window? 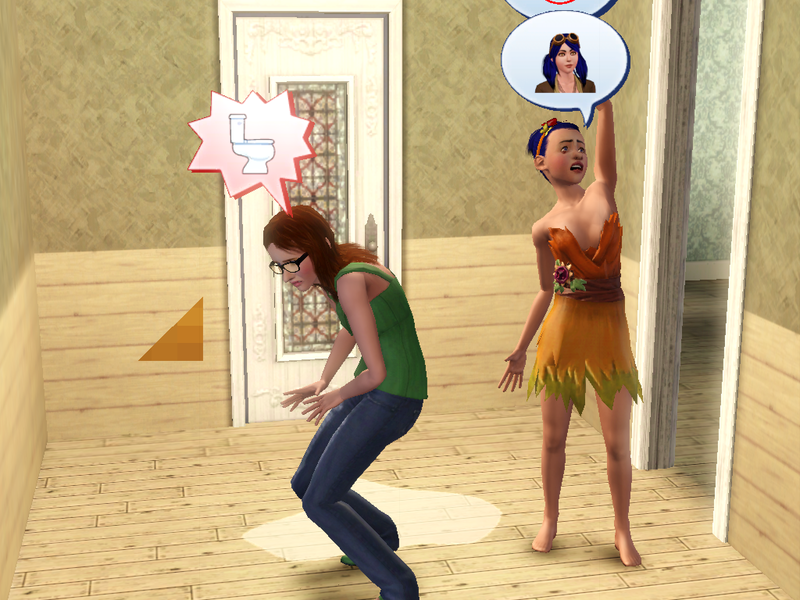 Not using the toilet, and peeing herself right in the bathroom. Of course. 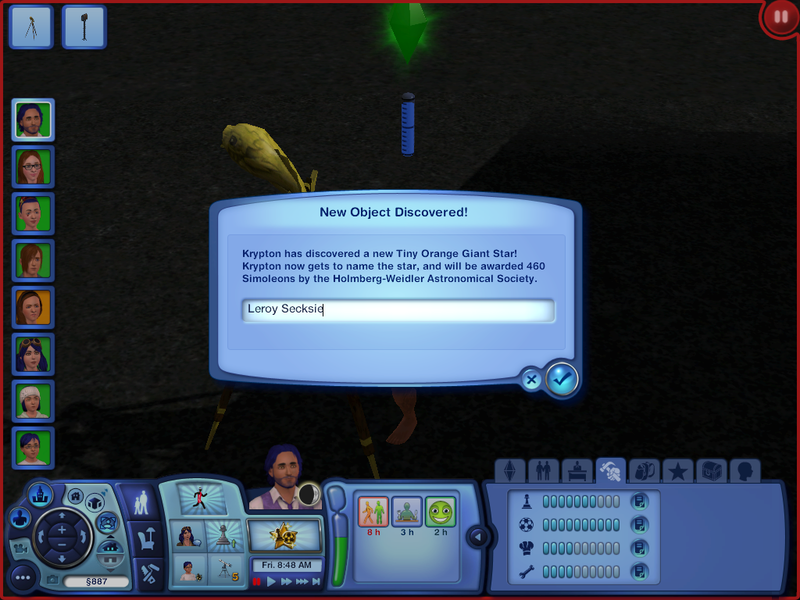 Krypton found this huge meteor while looking through the telescope. We’re not keeping it because it’s worth 28,000! Rebuild imminent when Yttrium takes over! Look who actually decided to go to work today!!! And who decided not to go to school. Zirconium: I DENOUNCE THEE, GATE! WHY MUST THOU HINDER ME SO??? 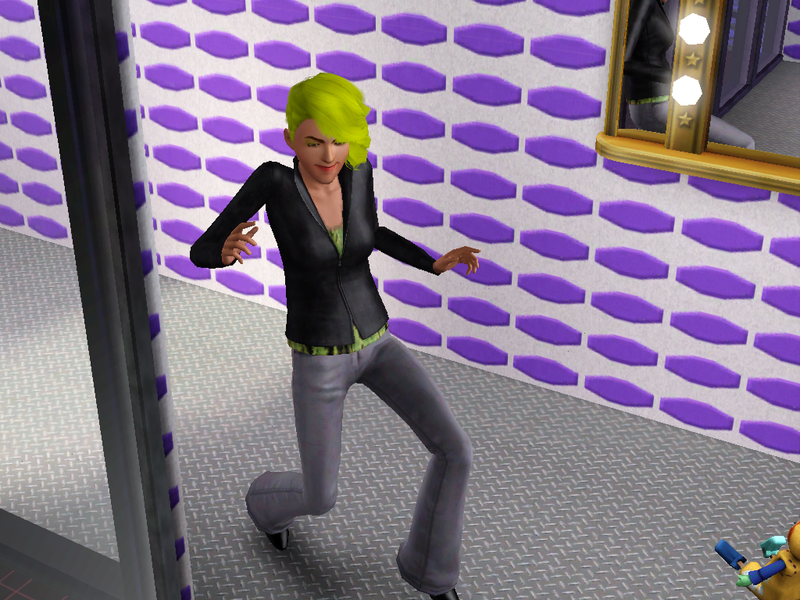 And then Rubidium’s also skipping school so she can be a creeper. 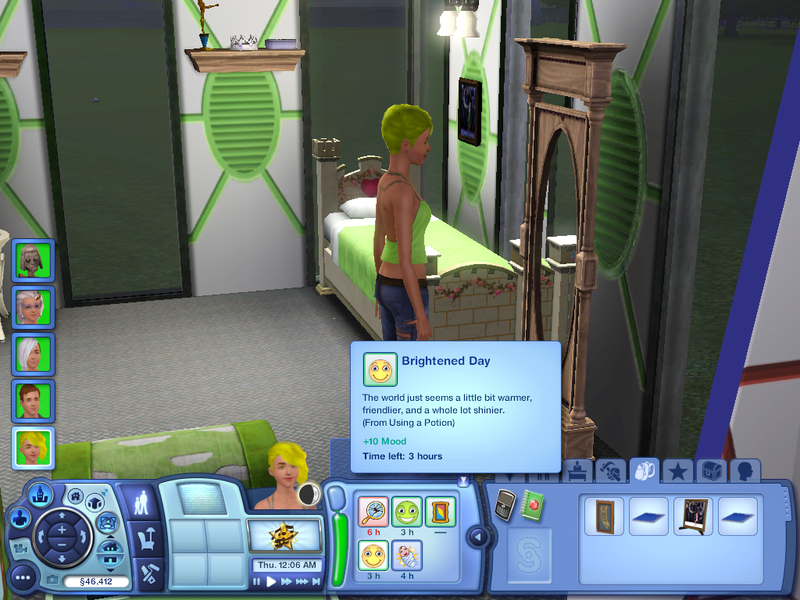 Then Zirconium does what one should NOT do when skipping school, return home while her father is still in the house. 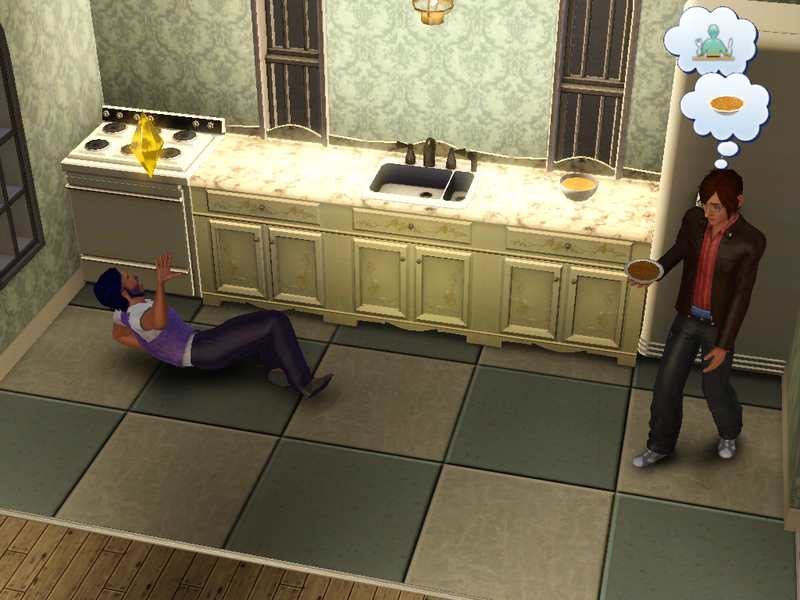 Zirconium: But I was hungry. 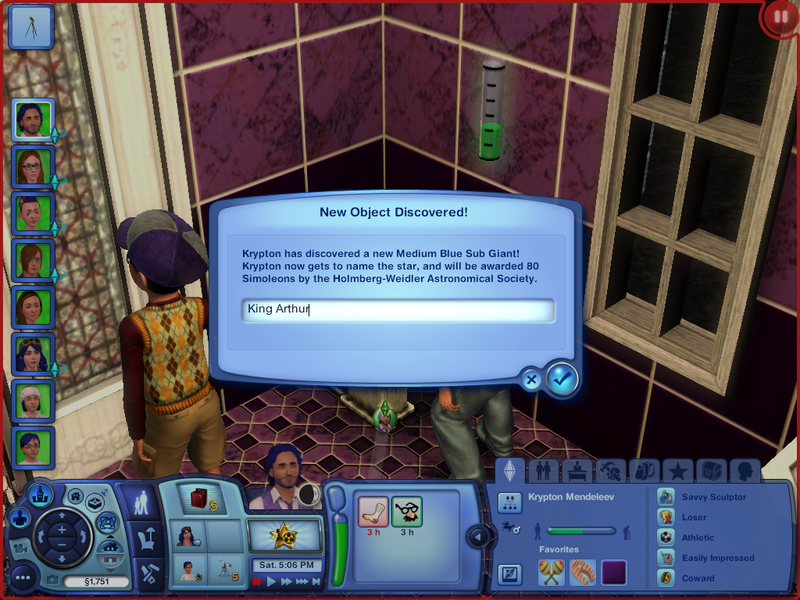 Zirconium decides to clean the shower, which was what I was going to have Krypton do next. She beat him to it. And he lets her off the hook all on his own. So did Niobium! Forgive that Mo is selected, rather than Krypton. 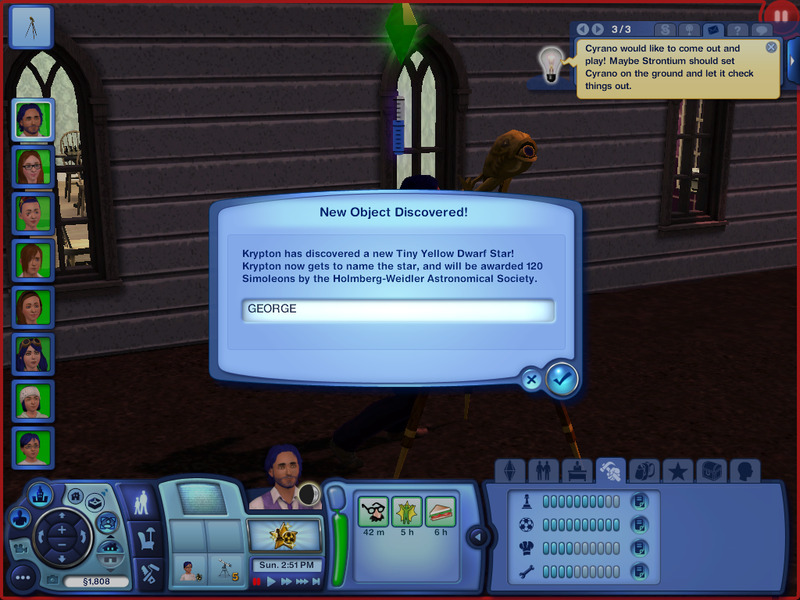 I got the pop up and for some reason thought that I’d find him doing something interesting to commemorate it or something. 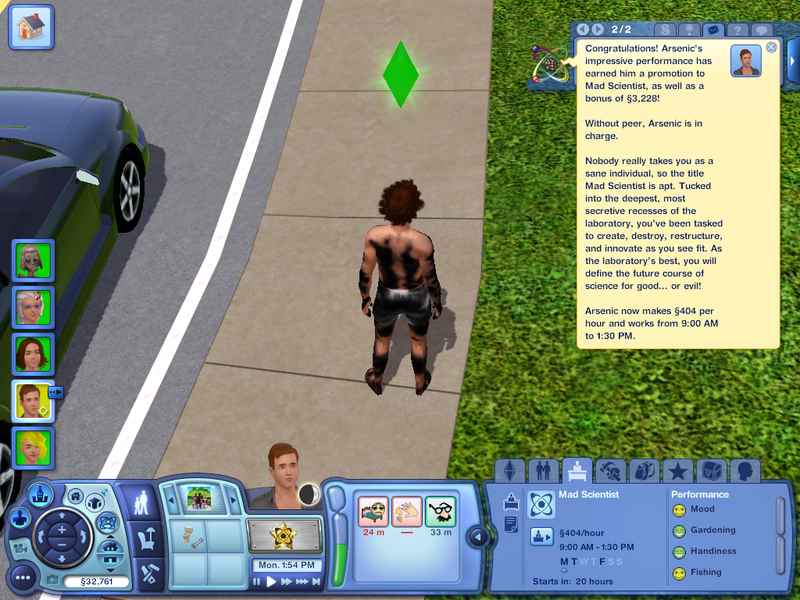 Didn’t they bring you their grades in Sims 2 or somthing? Oh, looks like Mo’s best friends with Not-Klaus. 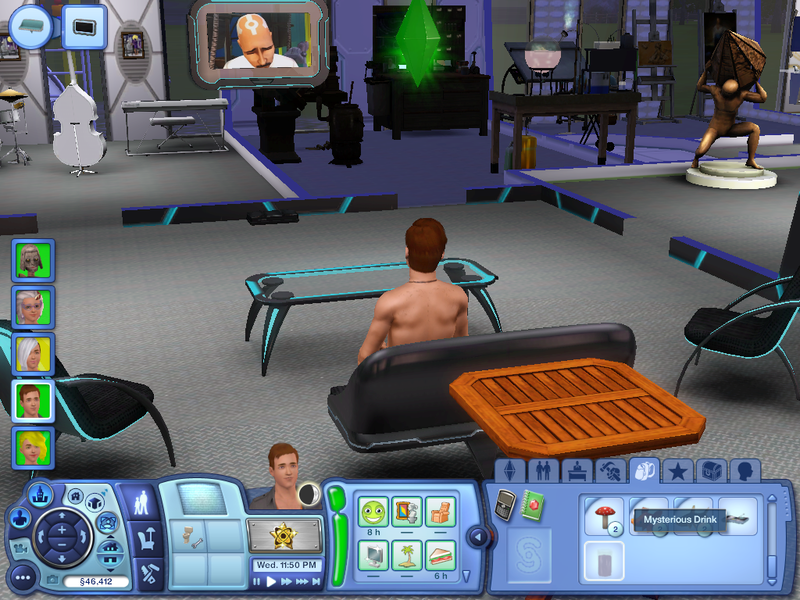 Yttrium keeps working out. 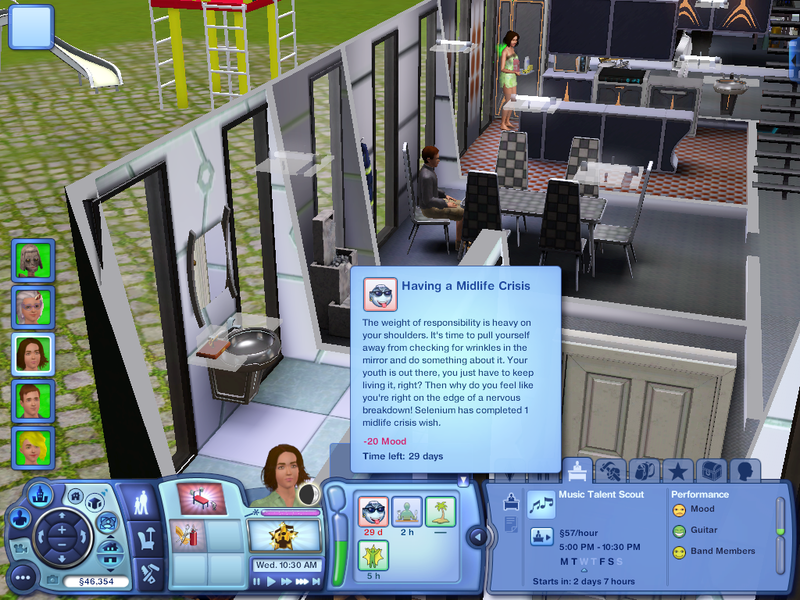 I found out later, when going through moodlets to see who pulled a prank, that she made honor roll too. 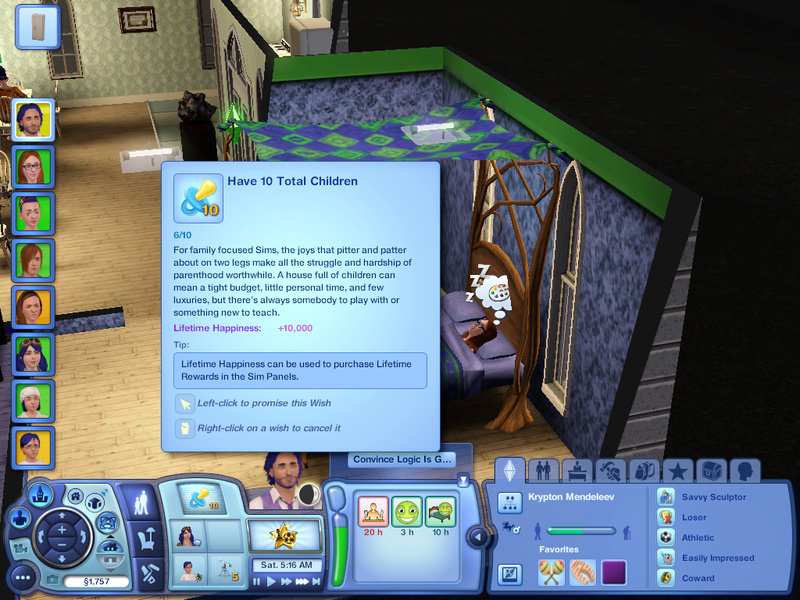 So that’s three kids! Score! 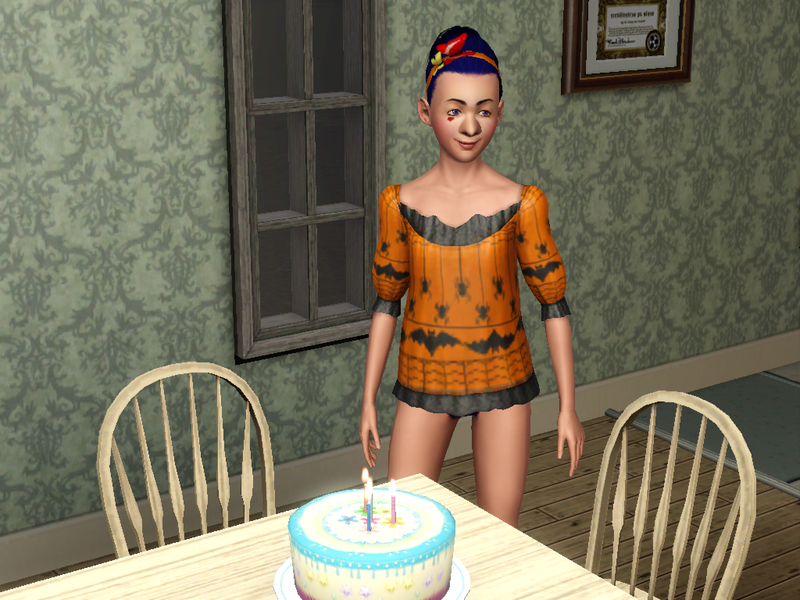 Then I realized that I’d had aging off from one of my other game saves, so I figured that Rubidium at least deserved a cake. 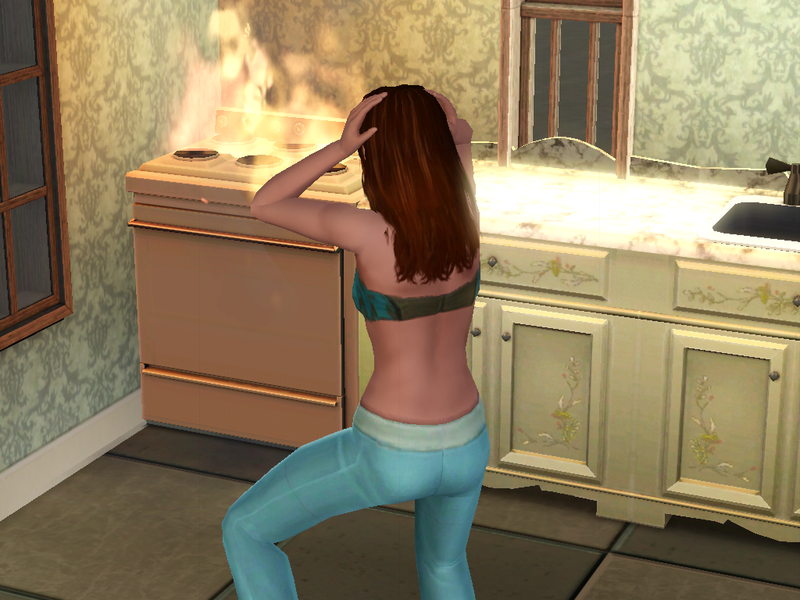 Kind of my fault for not making sure she was done with the stove before calling her to the cake. 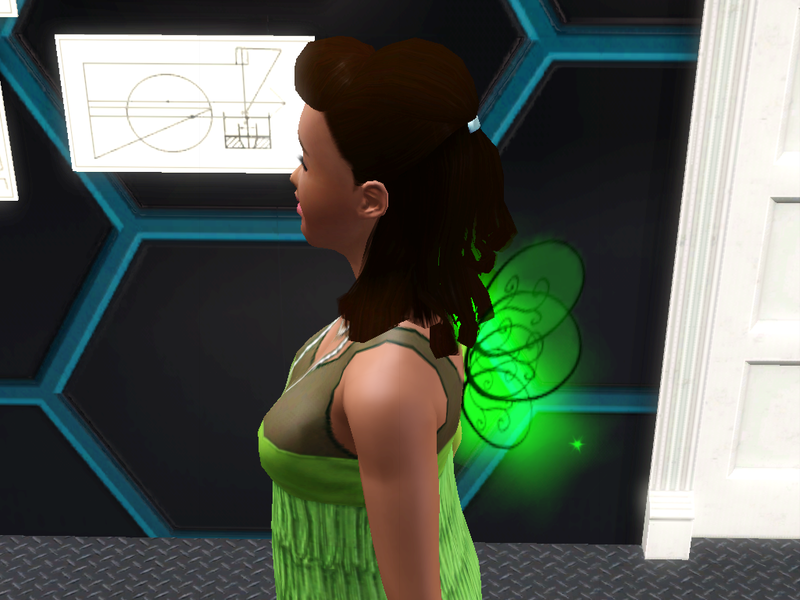 So Rubidium grows into a young adult more unnoticed than she would have been without the cake. 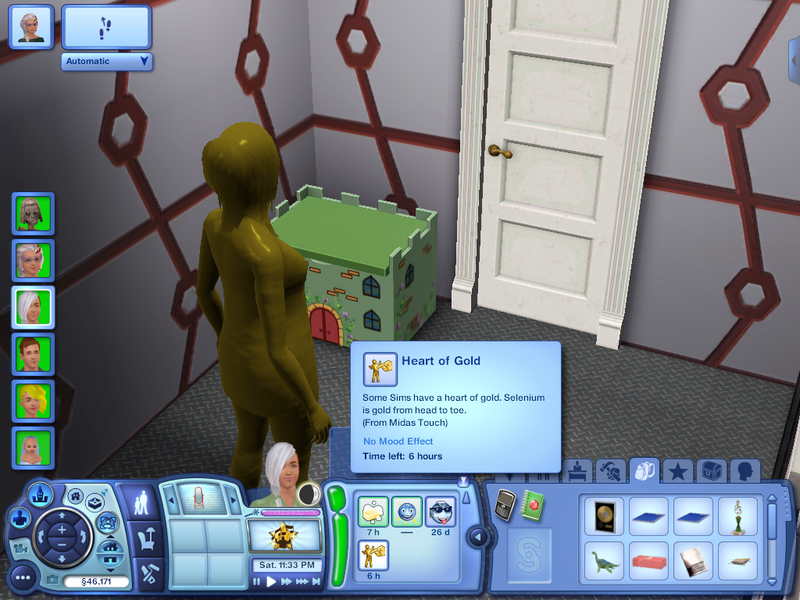 And I forget what her last trait was. Exchange says it’s artistic. She’s absolutely beautiful, but I’m glad she didn’t get to be TH, because Krypton still has stuff he has to do. 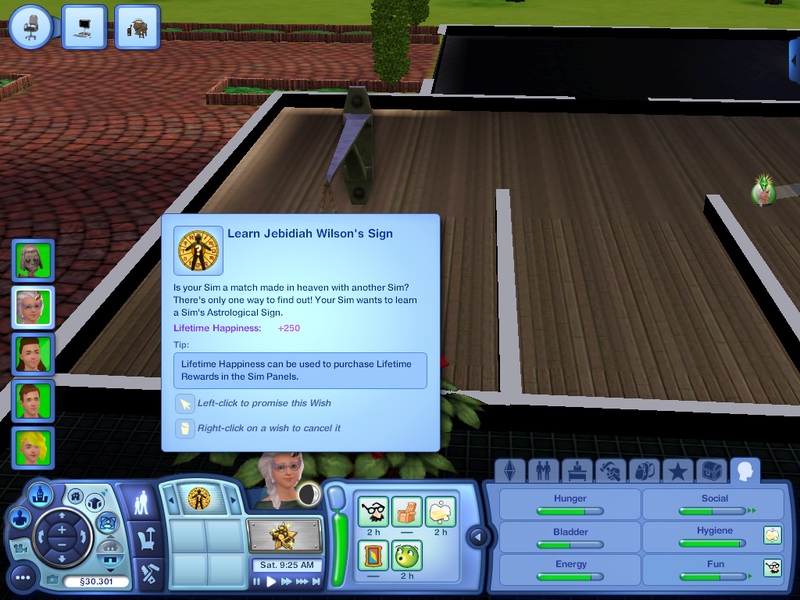 Except I used her YA interaction to sign her up for military, which she wants to top. I’ll move her out with her brother or something. So as of right now, Yttrium is winning by 3 votes… and everyone else has 0. 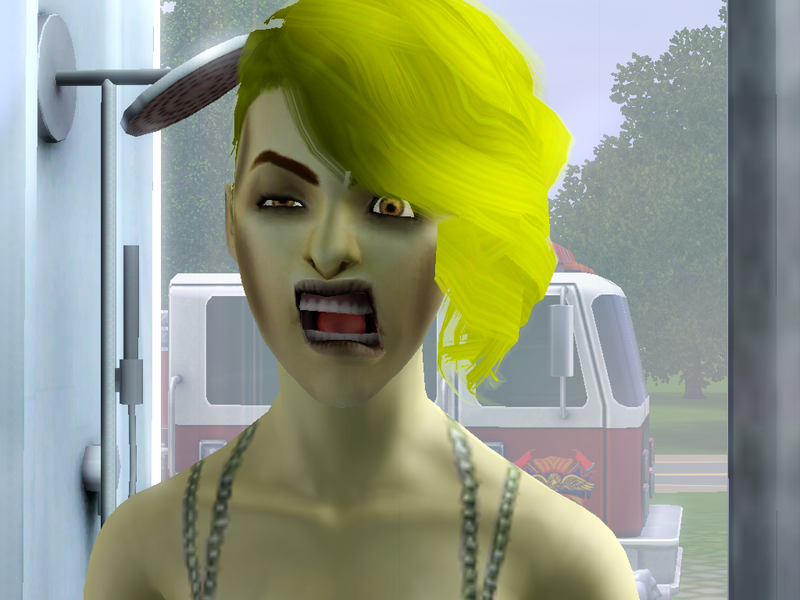 Yttrium: It’s ’cause I’m the prettiest. In other news, I’ve killed .037% of a tree today! I don’t know if I mentioned this before, but Gayby died! 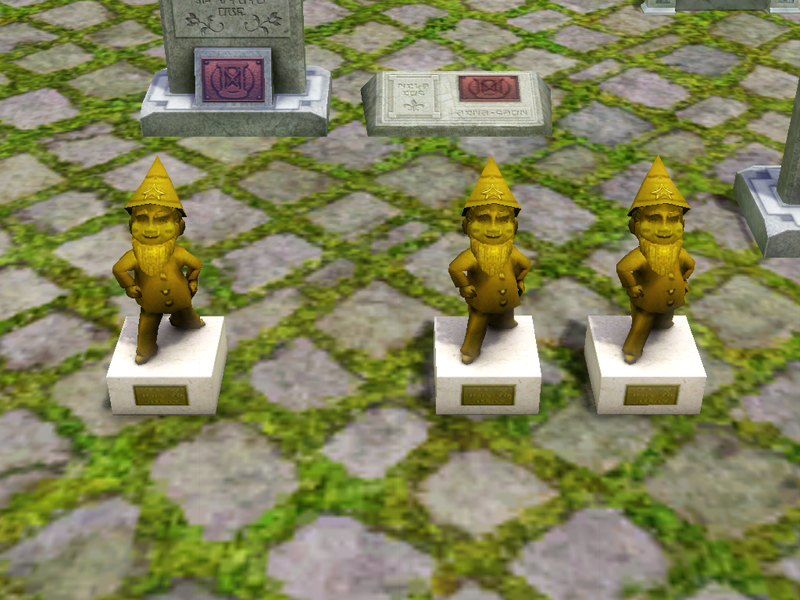 And I haven’t seen hide nor hair of the other gnomes, either. I forget if something happened to them or not. The first matriarch and the last matriarch (of the first legacy) sitting and reading together. Since Lacy’s done with her LTW, she is still my go-to ‘do awesome stuff I haven’t tried before’ gal. 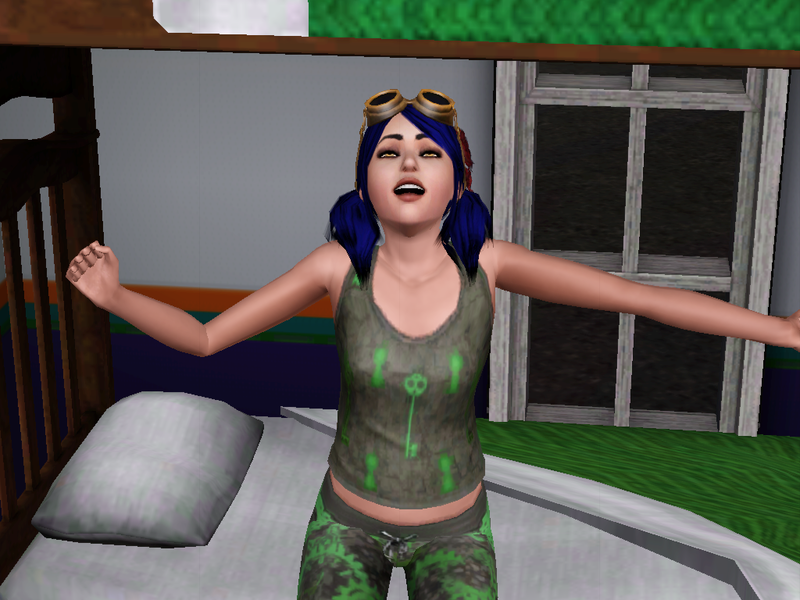 If I had University right now I swear I’d be sending her, and this would be ‘Lacy’s Uni Adventures’ rather than a typical family update. 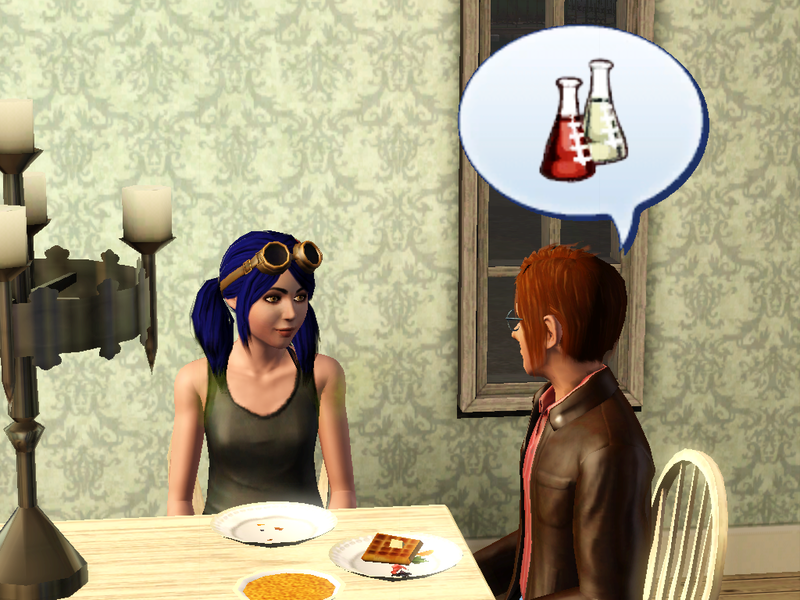 Lacy didn’t make this potion that… um… Selenium is using. Selenium: Way to remember my name. 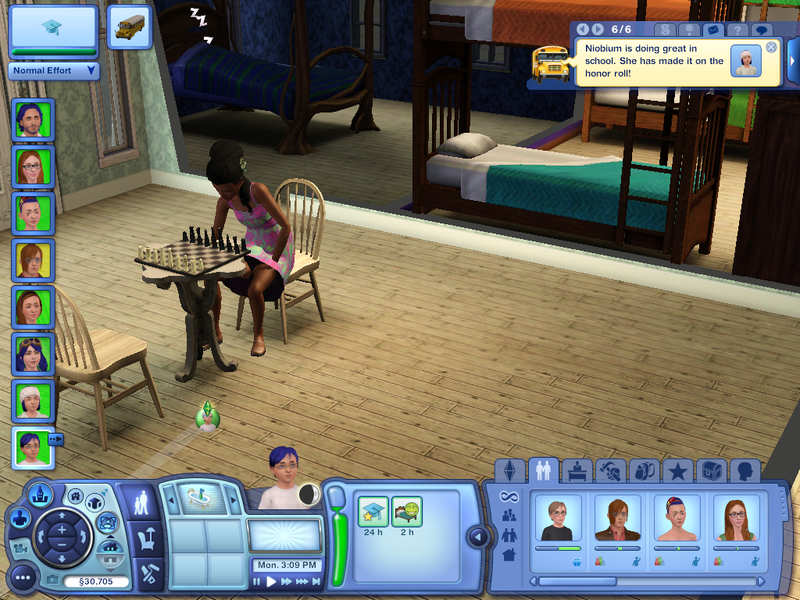 Her first action is to cheat at the claaaaaw game, which, if you remember, we own, so she doesn’t have to pay money to play it anyway. She’s just a sore sport. 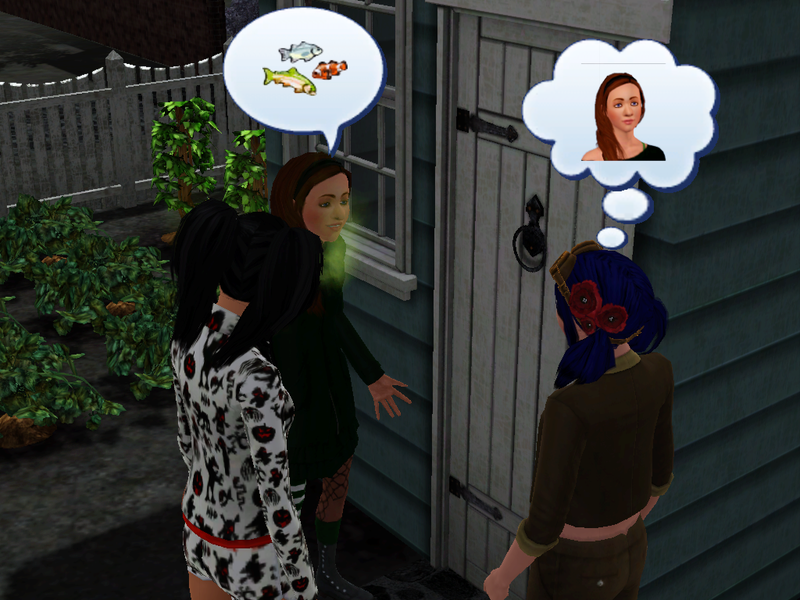 Selenium: Maybe I just wanted to show you cool fairy interactions! I think you just wanted a toy. Aw yeah, Arsenic topped the science track! Since he has so long before he becomes an elder… *glares at him* I’m probably going to force him to master more skills or top more careers or something… Arsenic? 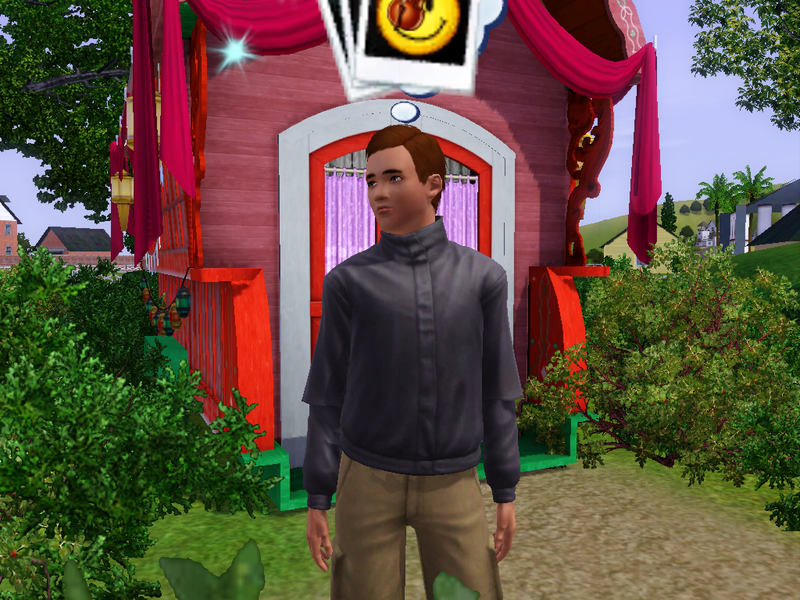 How do you feel about being a fortune teller? 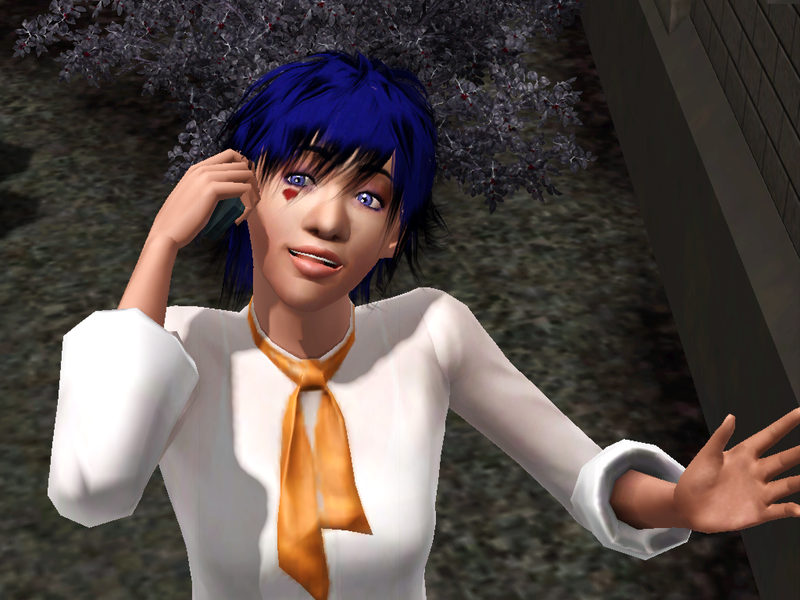 Selenium’s work outfit is wonderful in that her hair becomes COMPLETELY DIFFERENT for it. Hello, hello! 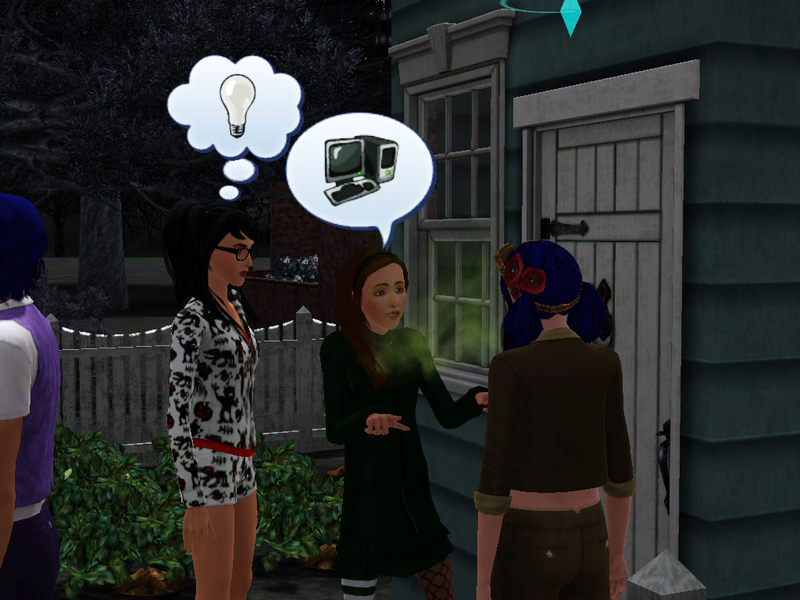 I haven’t forgotten my lovely simmies with NaNoWriMo and homework and such! 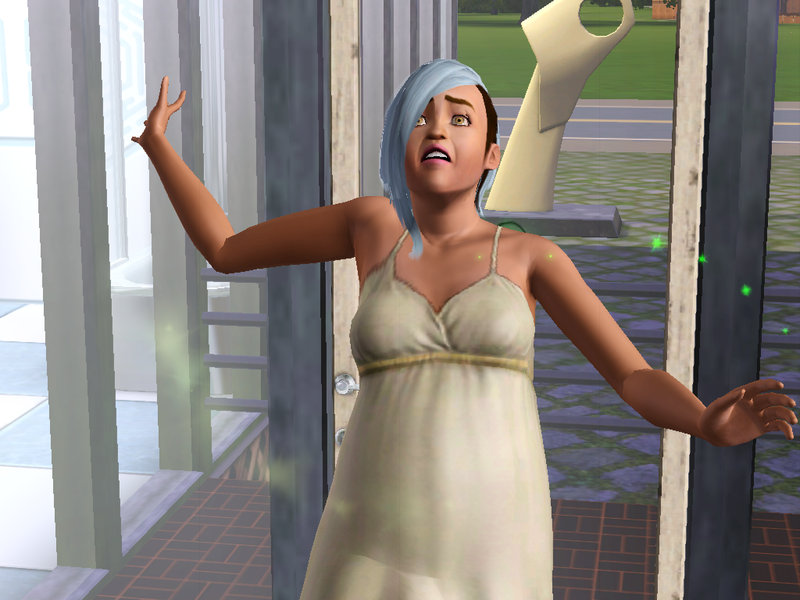 This is the last chapter before we have an heir vote, so hooray! We’ll soon see who will next be taking over the title of torch holder. Our first bit of news is that Krypton mastered the athletic skill and is now more than halfway to his LTW! Go Krypton! He is, by the way, the most able to function in the whole family, thanks to me. Rubidium: Wow… um. I’m tired. Gotta go to bed soon. You can’t fool me, missy! Strontium got the ‘love at first sight’ thing with this girl, whose name is, I believe Violet Baudelaire I MEAN Maggie Flynn. She’s gorgeous, and if she gets married in I’m gonna cheat her a fourth trait because screw having one too few traits. Right. I didn’t get you an easel. The Doe child came back. Jenny: This isn’t as nice as my house. Yttrium: The smiley face above my head tells you how much I care. 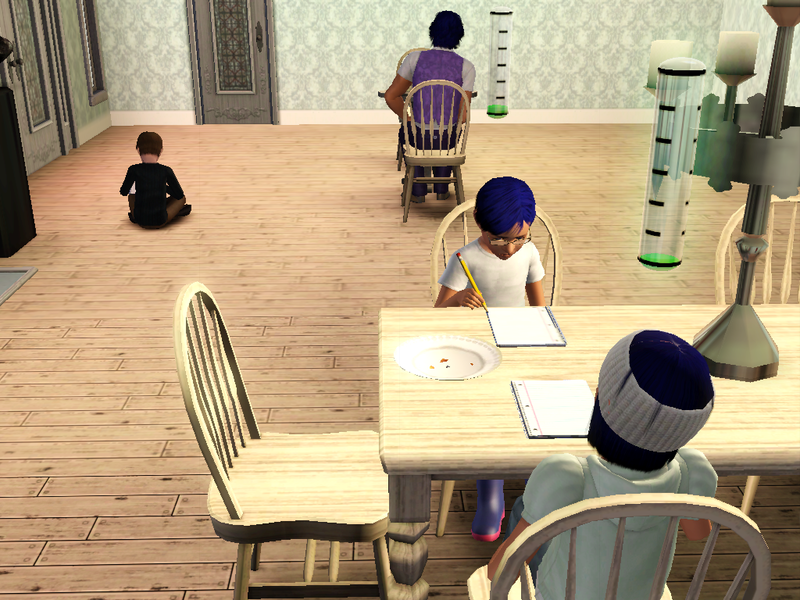 Niobium went to do homework at the table, looked at Jenny, and then walked away to do it on the floor. I am not making this up. And Molybdenum’s at the Flynn household. Mitchell: I’m supposed to be a mistreated little orphan based on Klaus Baudelaire, and my house is still better than yours. 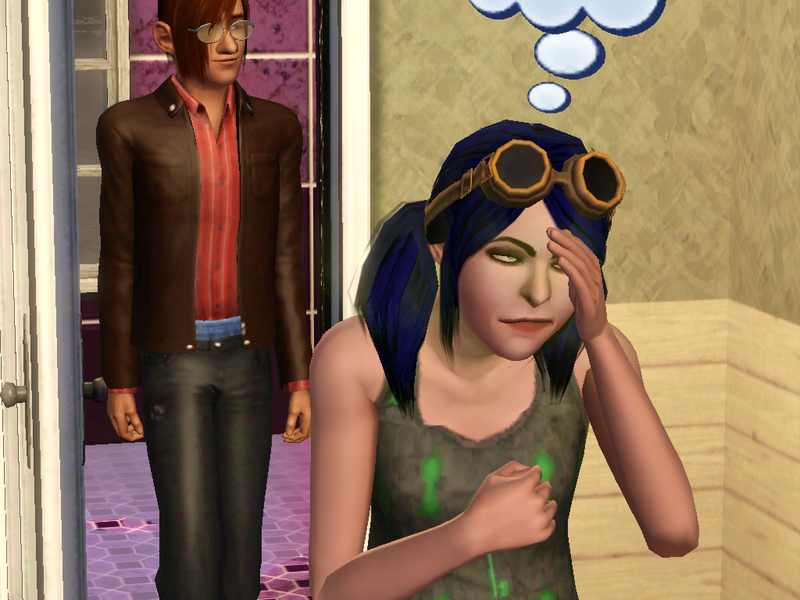 Yttrium: Head’s up, dad. 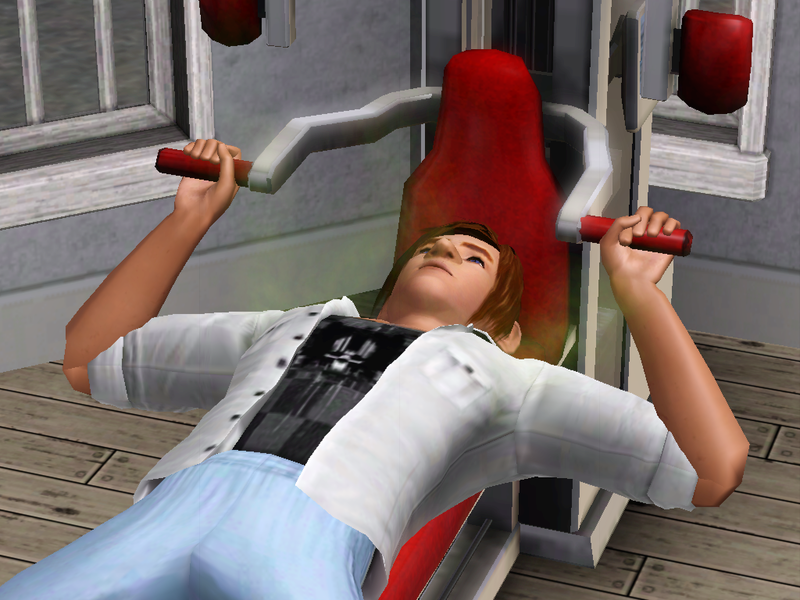 Zirc might end up with a boyfriend, so get the shotgun ready… or you could just punch him, with how much you work out. 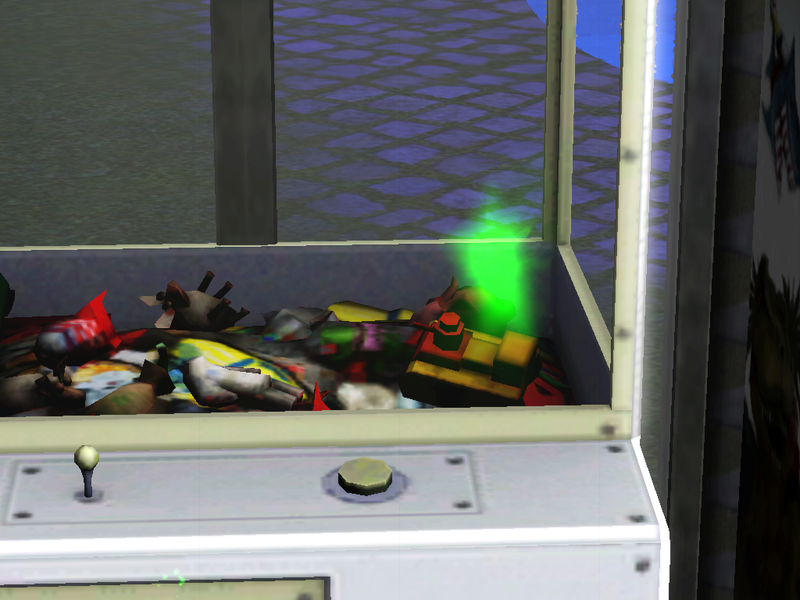 Too late, Strontium’s stolen the machine. 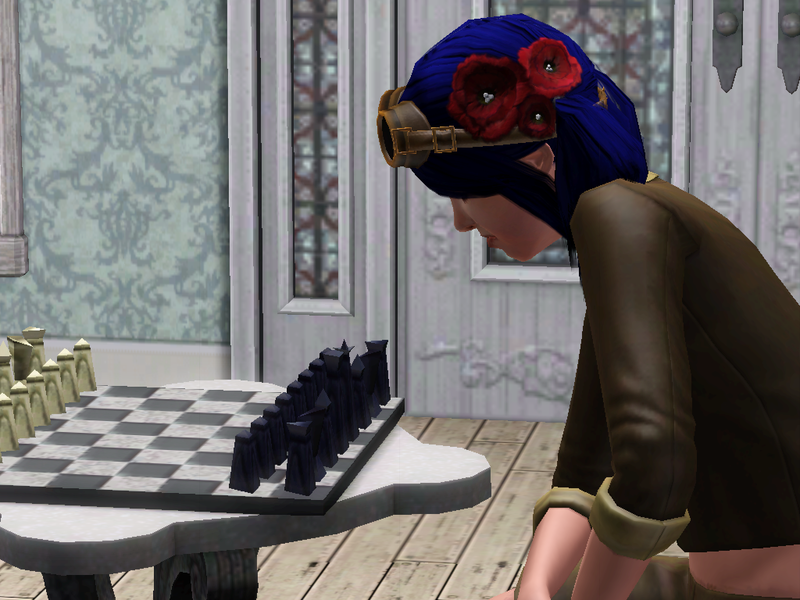 Yttrium decides to forgo the weight-lifting and lift MENTAL weights instead with the chessboard… at like two in the morning. 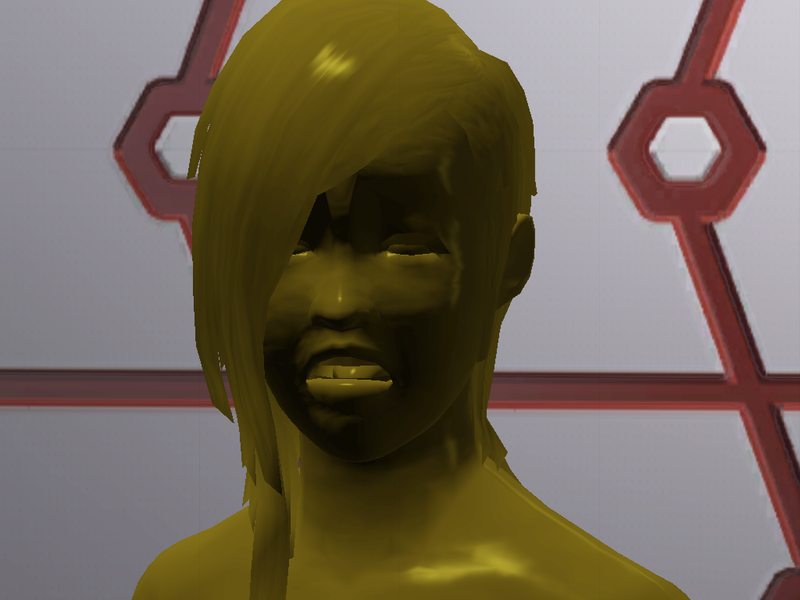 Yttrium: URGH. These waffles didn’t come out the way I wanted! Maybe because you’re dripping toilet water on them from the prank someone pulled. Yttrium: Well, I’m sure that two hours of sleep is enough to tackle the school day. 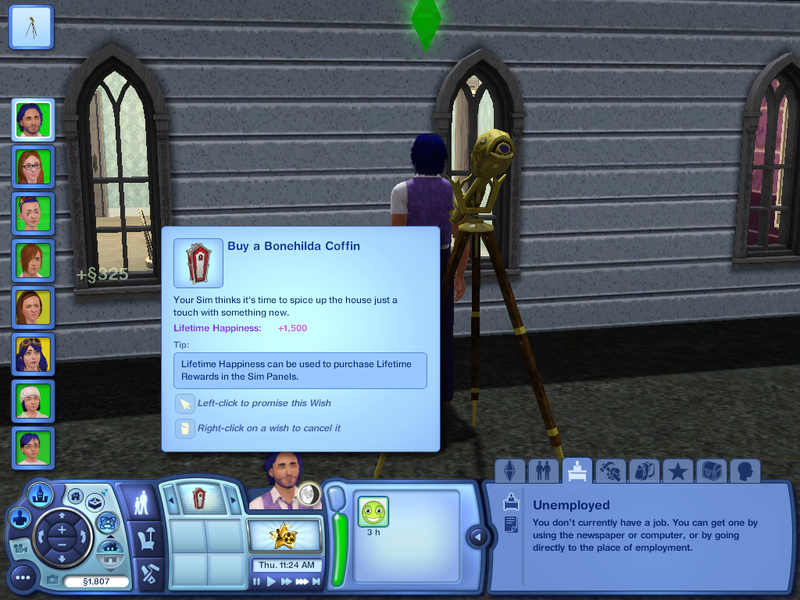 There was a sale at one of the Midnight Hollow shops where you can buy things that are set up in the building. I wanted to see what it was like so we bought a table lamp thing. 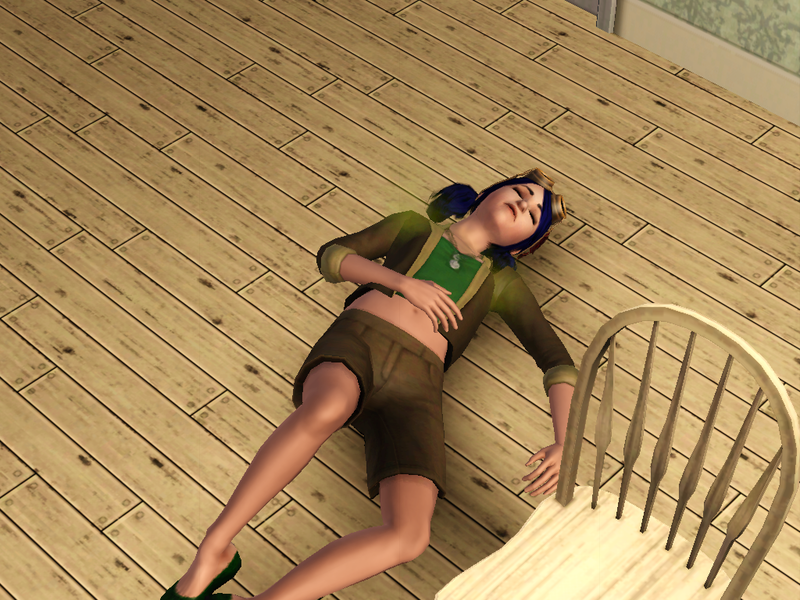 This is the second pass out this chapter… and I’m not sure if we’ve had any prior to this! 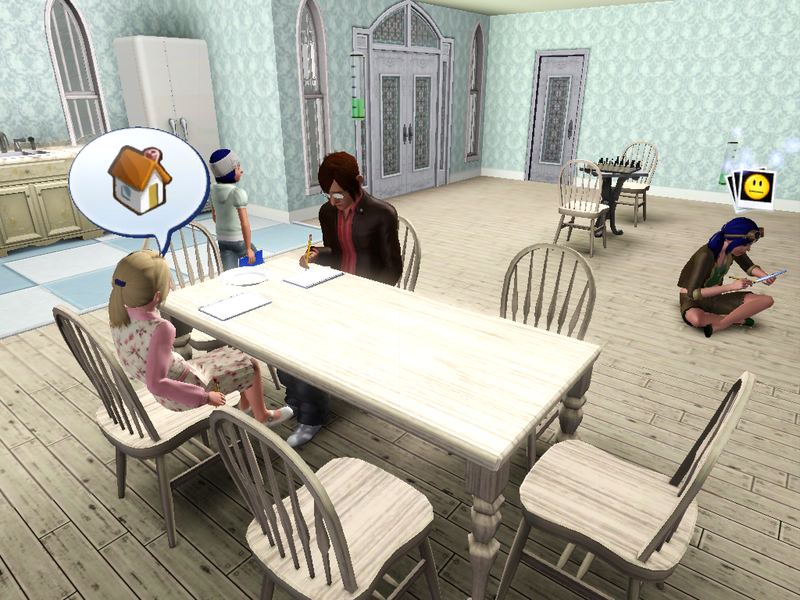 Zirconium, however, decides to make the family proud and do her homework right outside of the school… even though she’s too stressed to be much use. 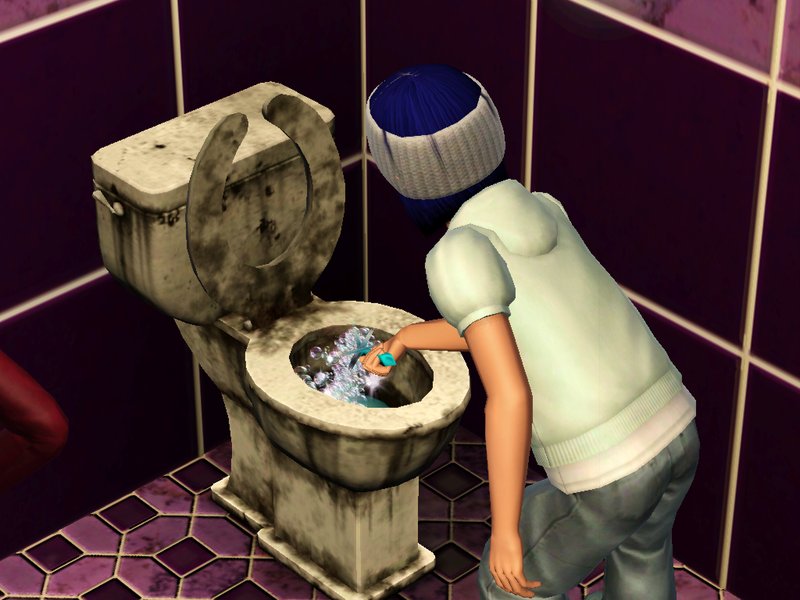 Zirconium: Maybe it’ll work this time! Horrible lighting means full moon! Molybdenum: I am the king! 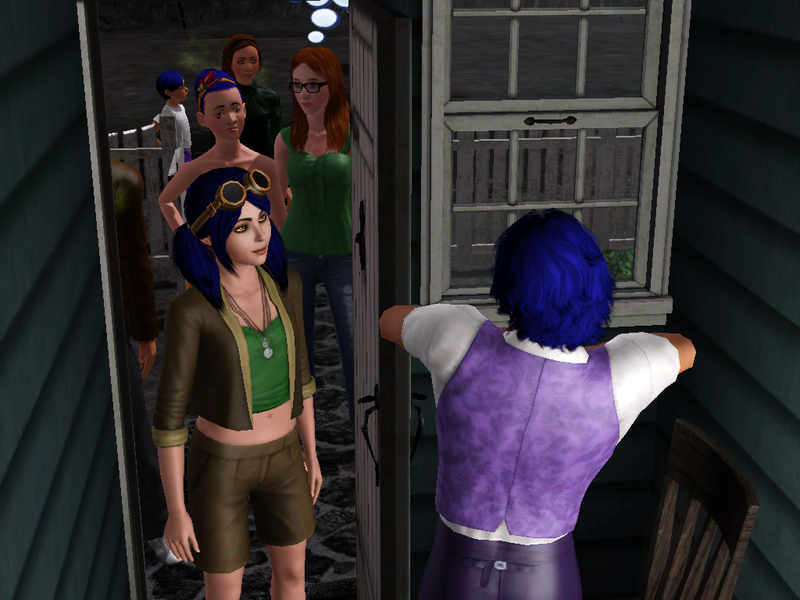 Strontium: Dammit, I thought we were through with this when the girls became teens! 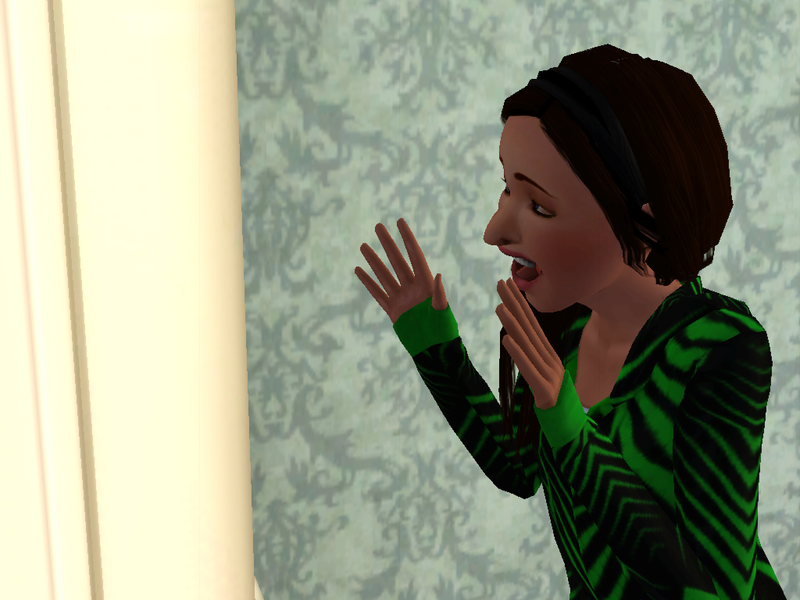 Yttrium: I am still the reigning queen and you know it, Mo. Now sit down, you little turd. 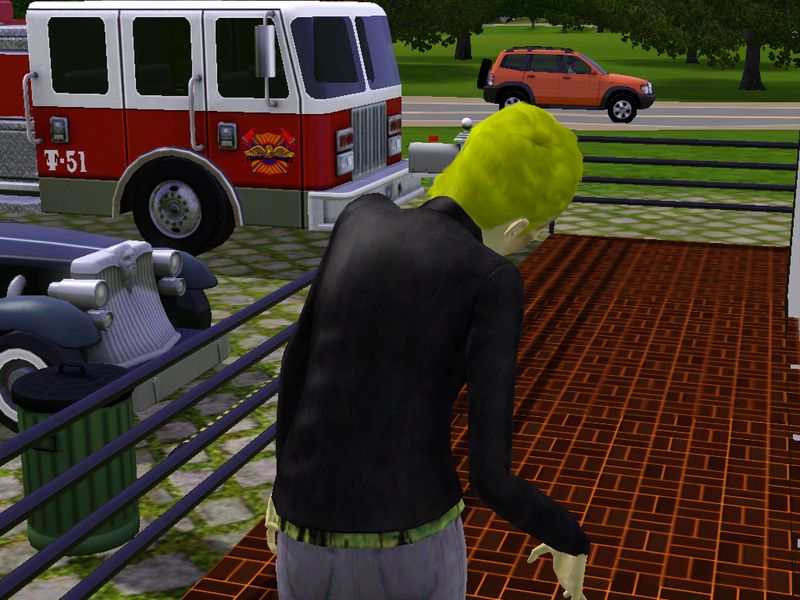 Zirconium gave up on homework and fled to higher ground to escape the zombies. Zirconium: This seems like the perfect fortress! 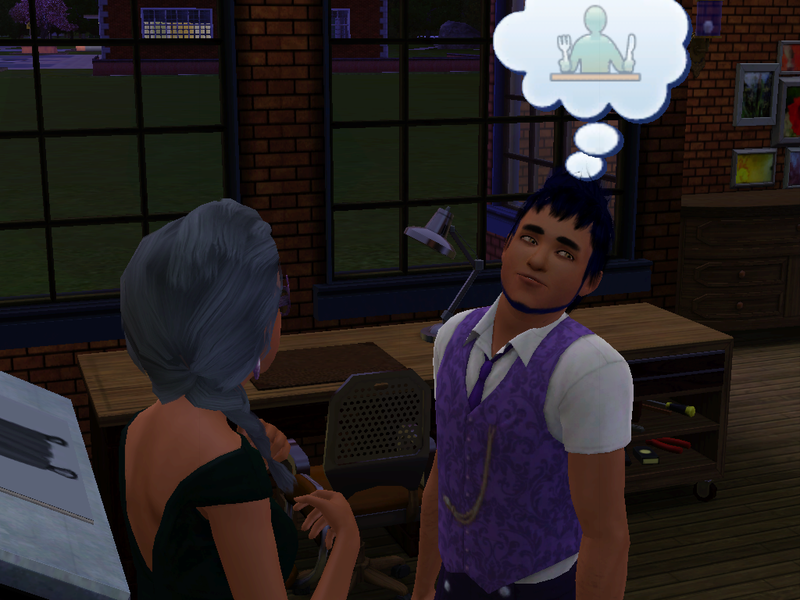 I think you have work right now, Laurel. WHY WOULD YOU WISH THAT? YOU’RE A COWARD. In her defense, you deserved it. You monster. 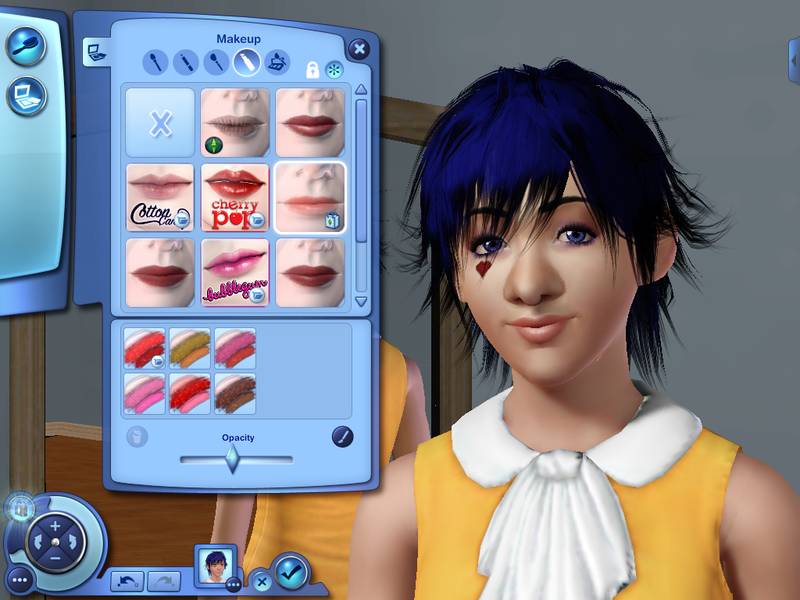 Krypton: I don’t know if I should be embarrassed for walking in on my daughter, or amused because she looks like a clown. 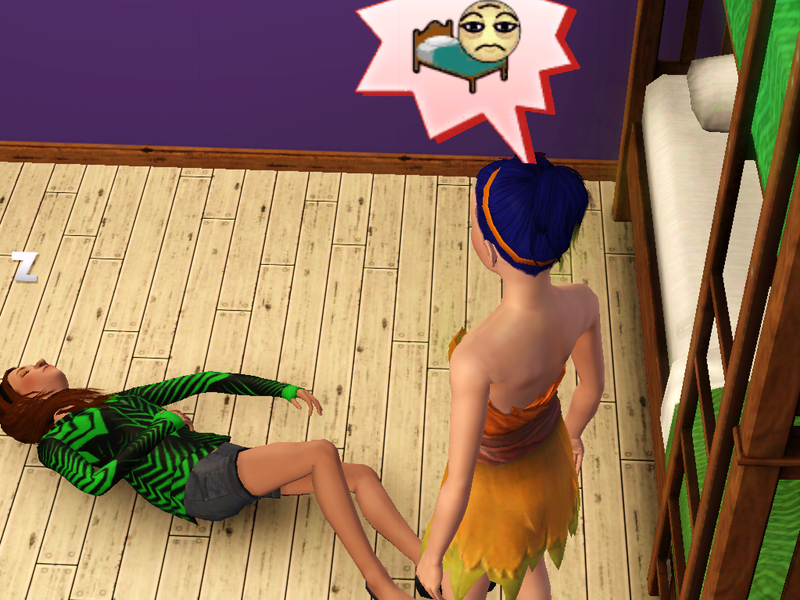 Sandra: Nice bed you got here. 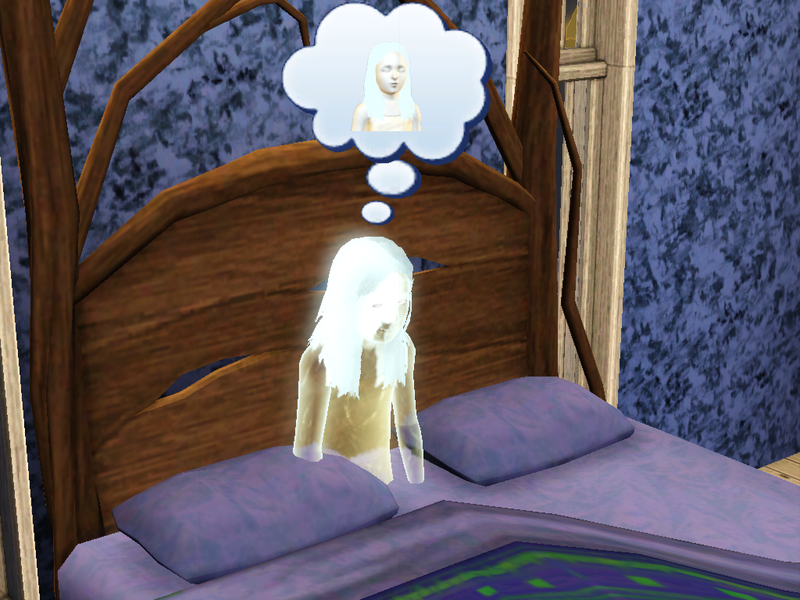 Sandra: But I’m a ghost! It’s my job! Strontium: Come on, dad. 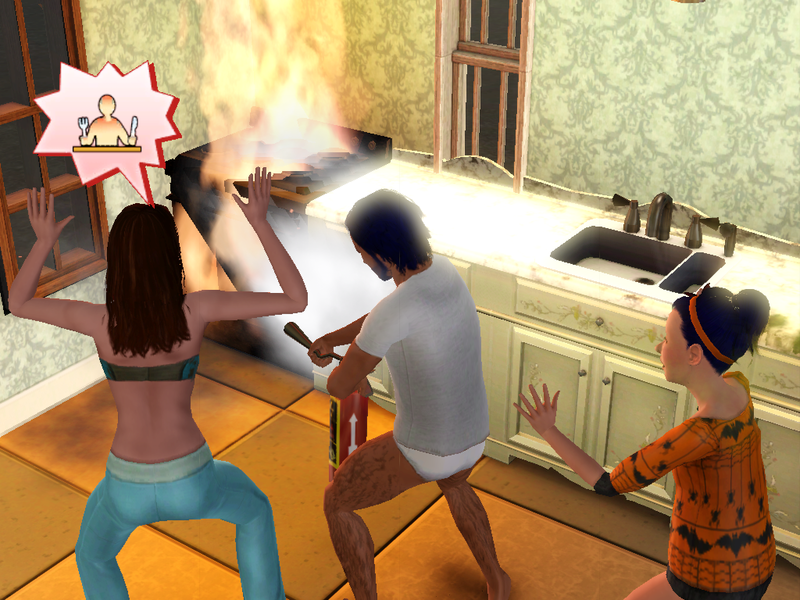 One, there was macaroni in the fridge anyway. Two, it was just a little girl. Sandra: Are you alright, Mr. Mendeleev? She’d make a good spouse, wouldn’t she? 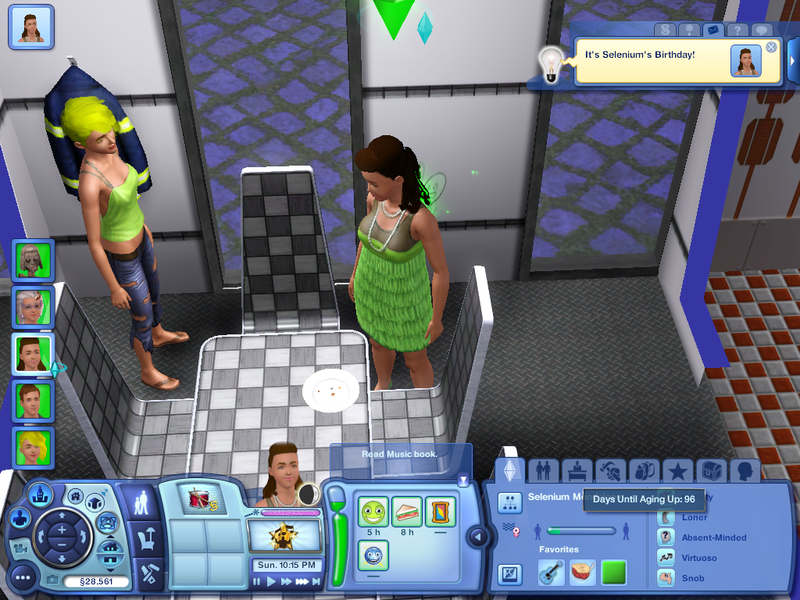 I was just checking up on the various simmies to see if anyone was awake and interesting when I found this. AND WHAT THE HELL LAUREL. 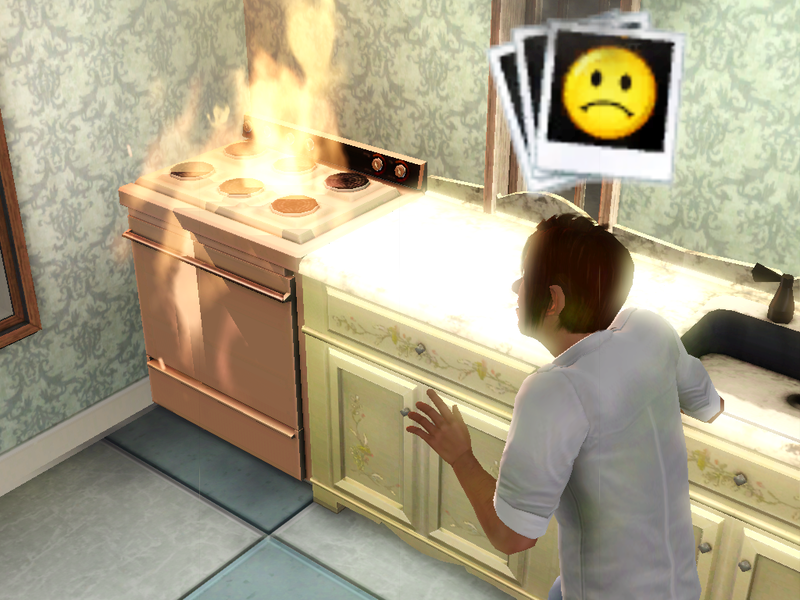 Laurel: I was just cooking more food that was really unnecessary because we have fresh leftovers in the fridge, and then the stove caught on fire! Krypton: Of course the coward is the one that has to save everyone… remind me to faint later. That’s all I have, because I was really waiting to take pictures of the kids when they got up, before SOMEBODY set the kitchen ablaze. TOTAL = +20. Or something.